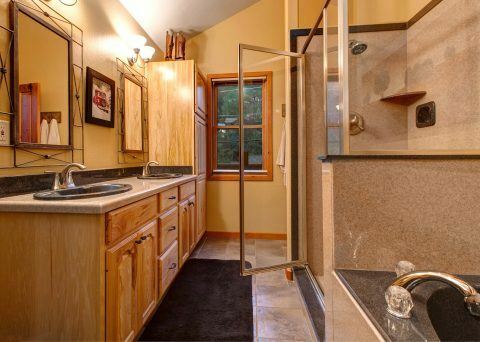 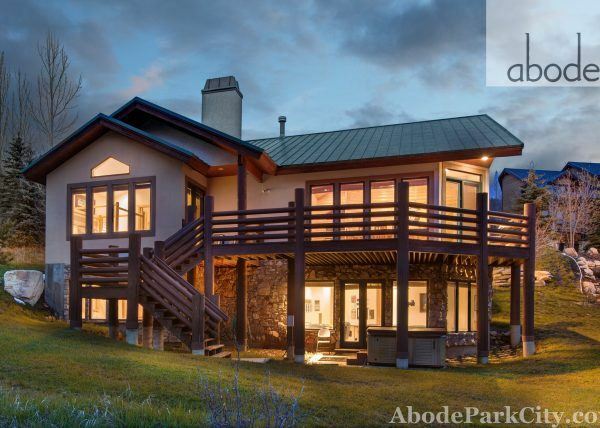 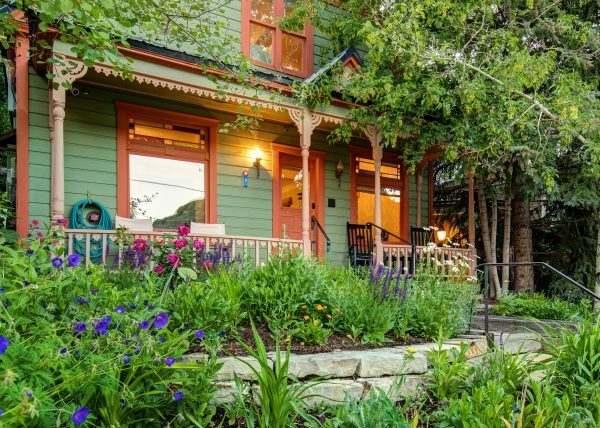 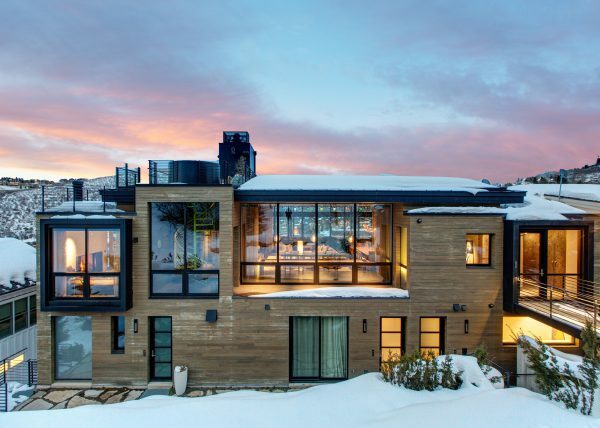 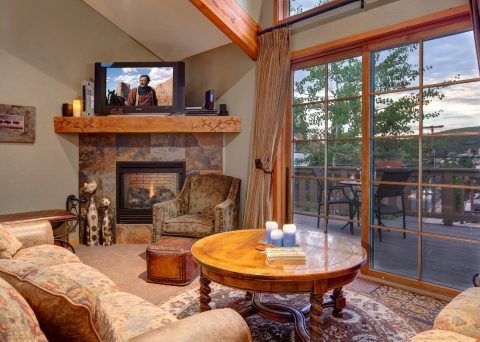 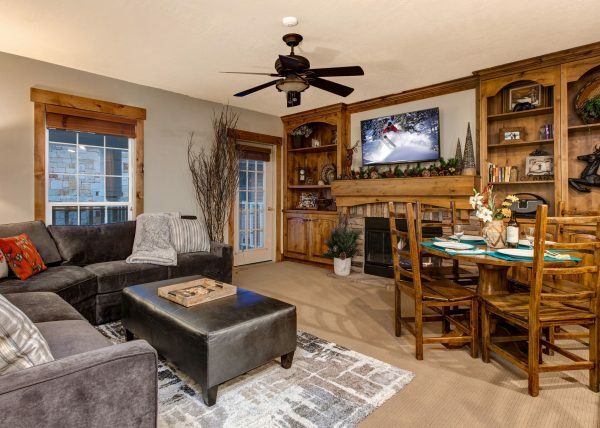 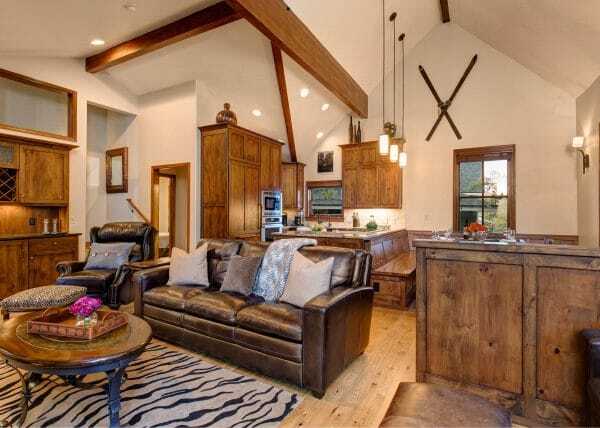 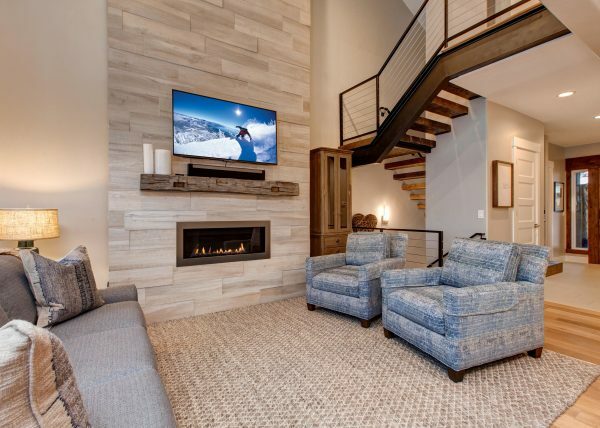 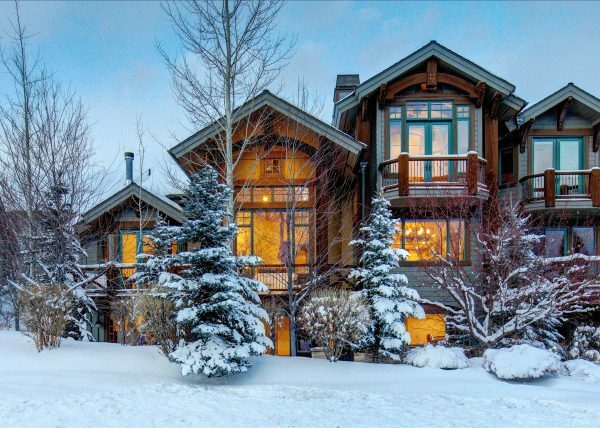 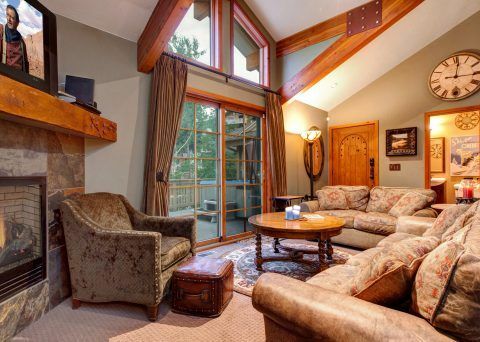 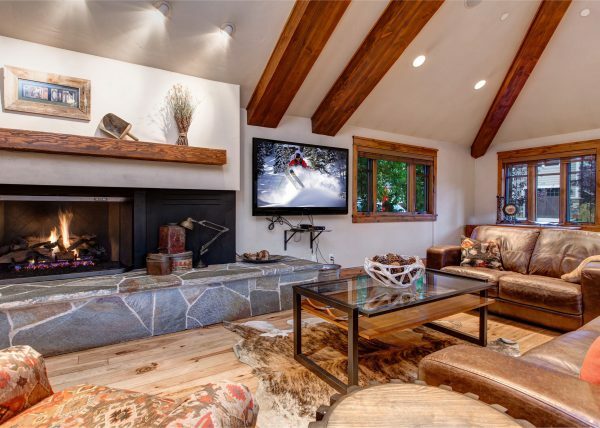 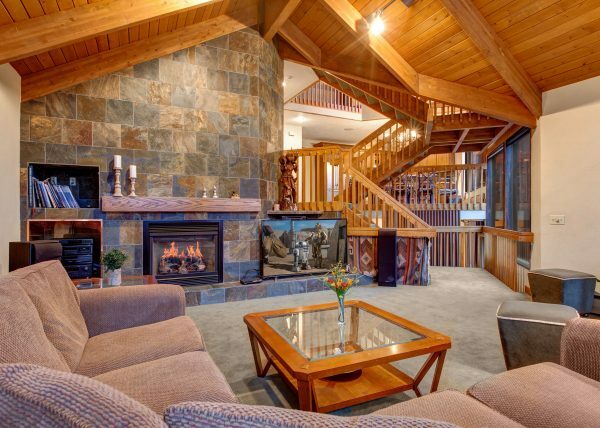 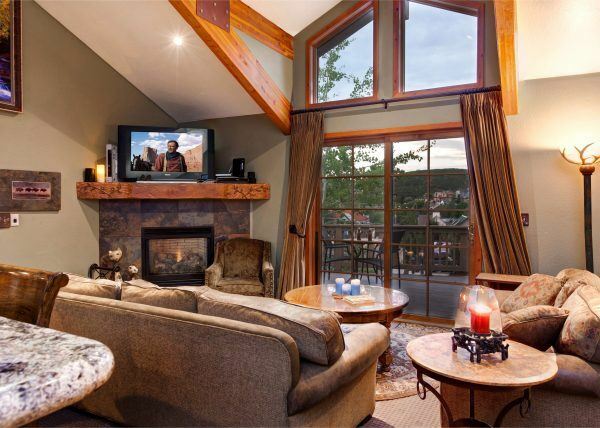 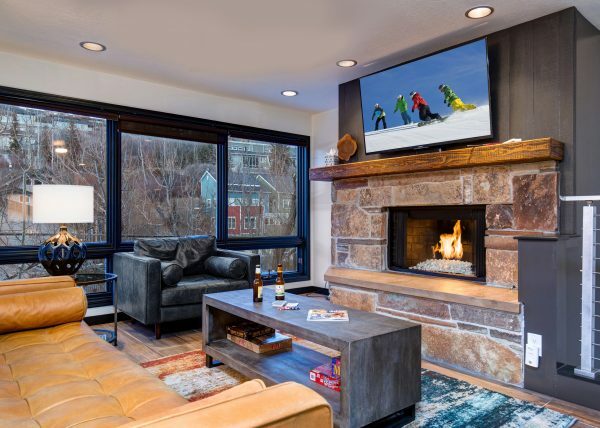 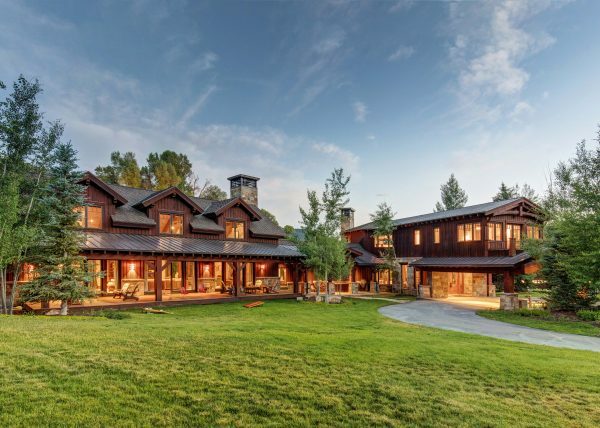 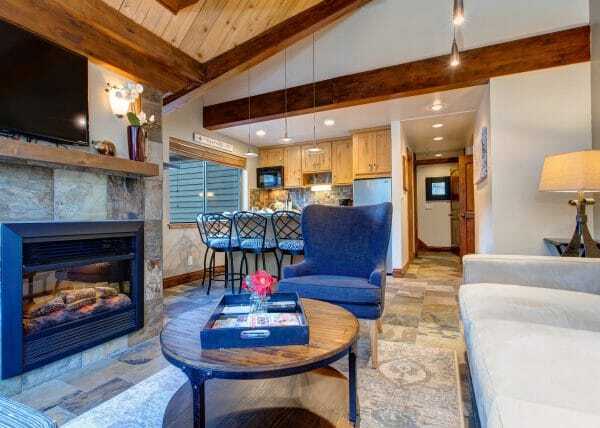 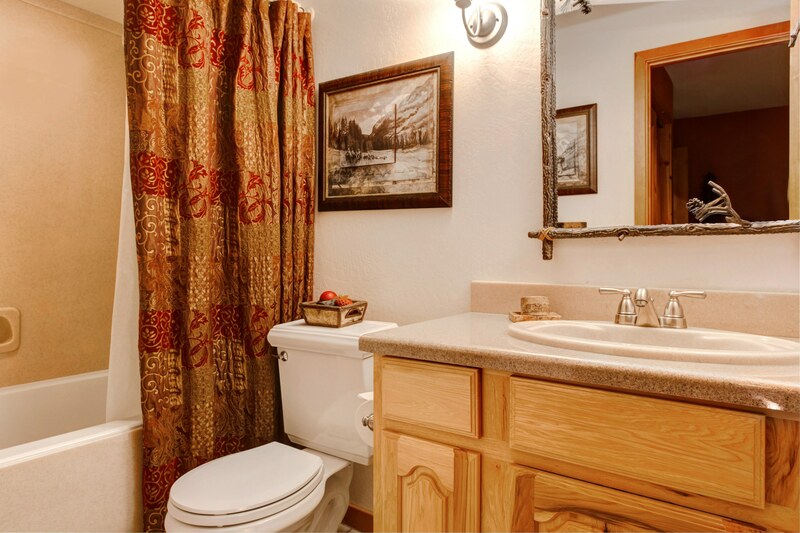 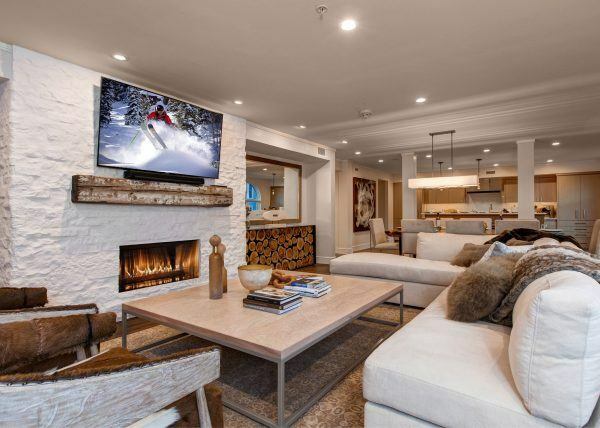 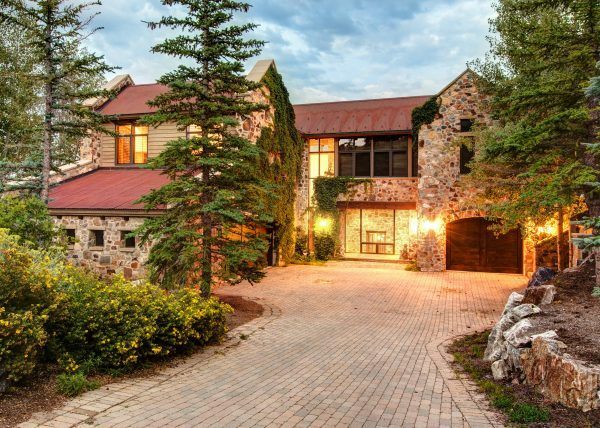 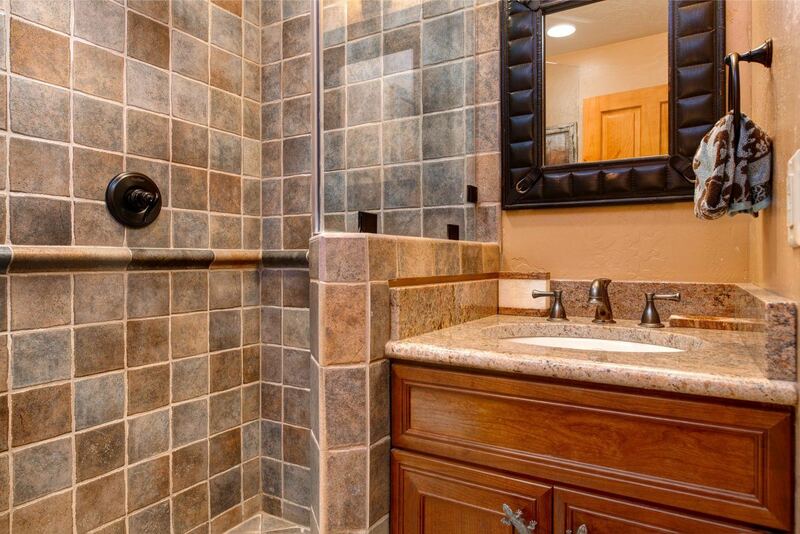 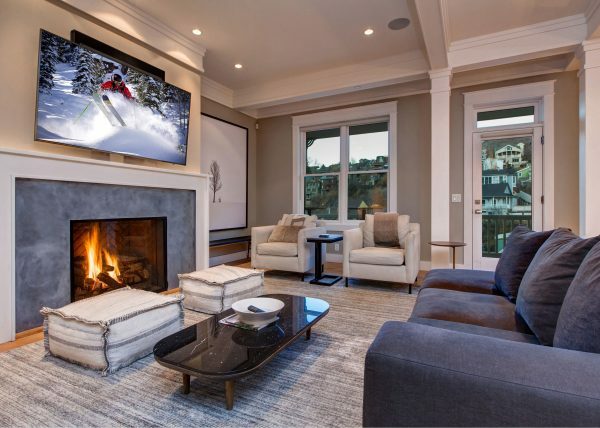 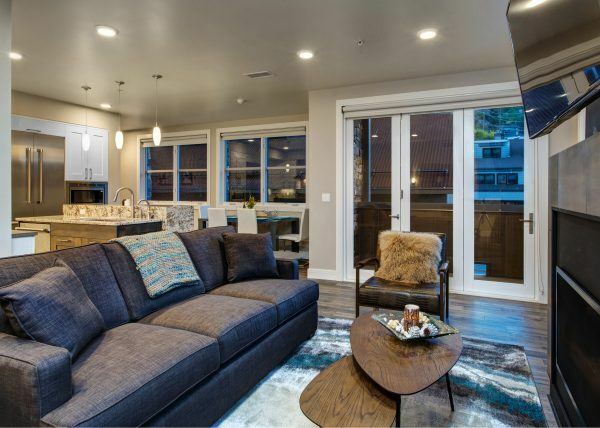 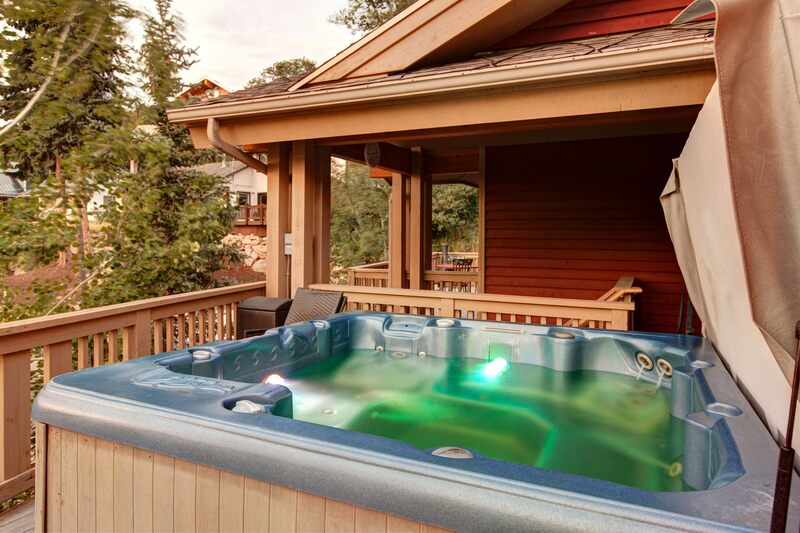 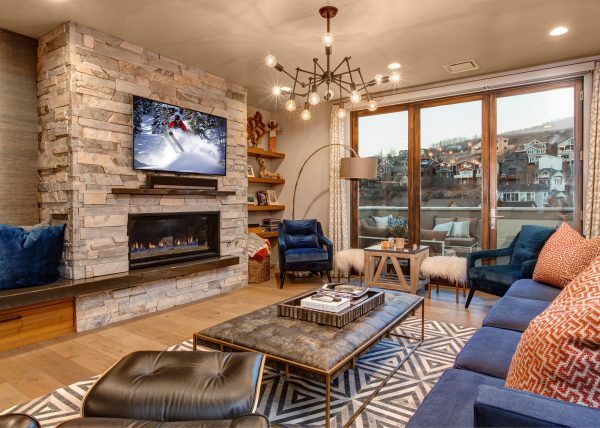 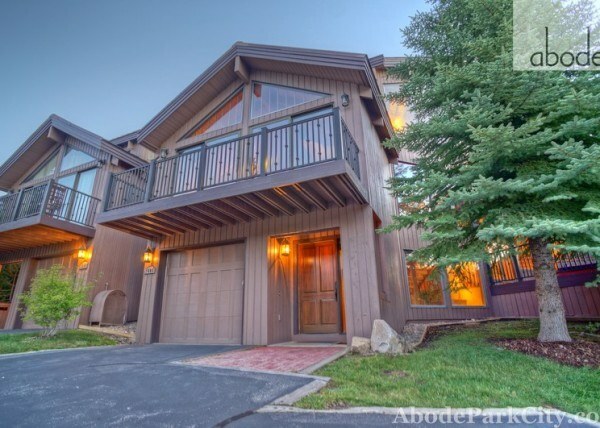 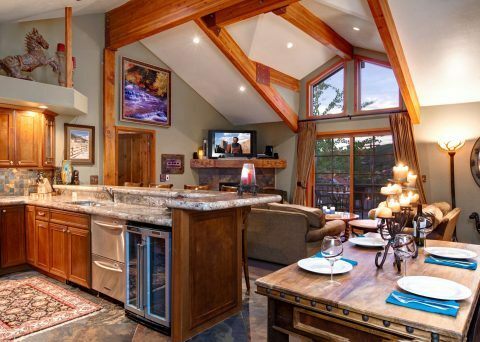 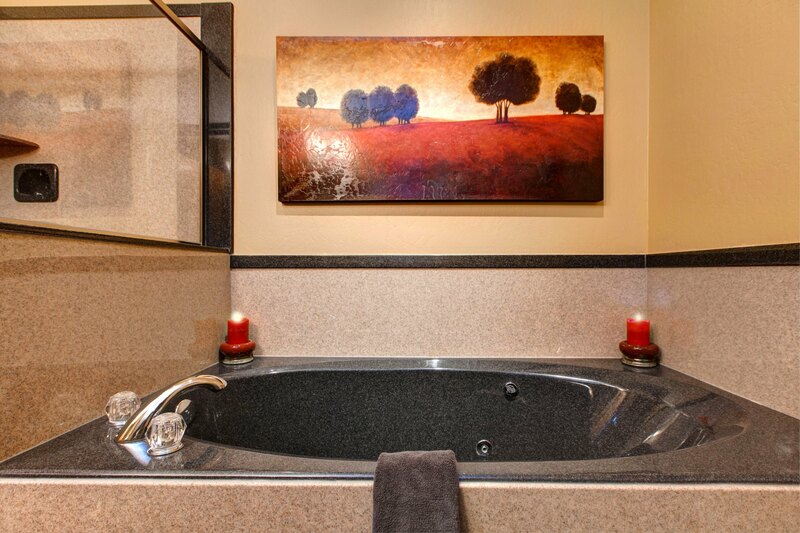 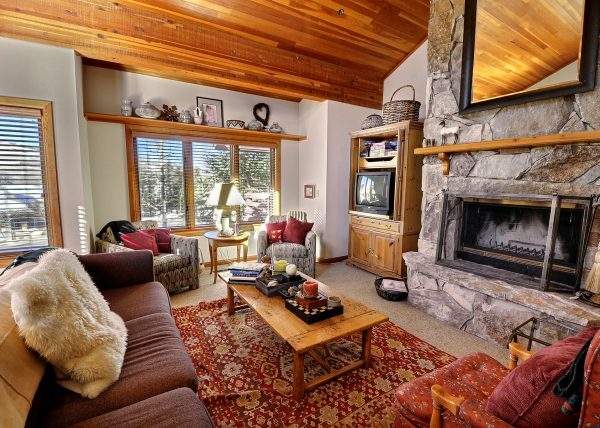 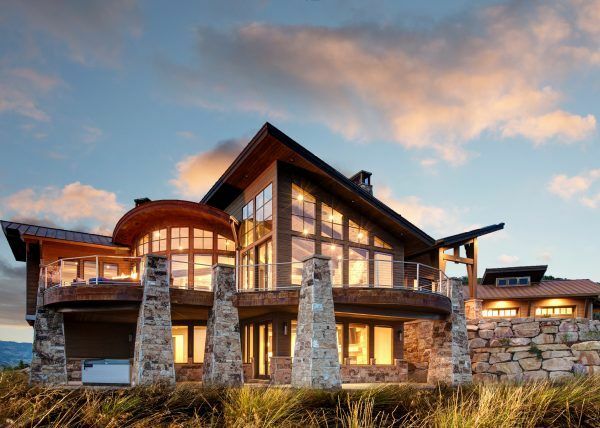 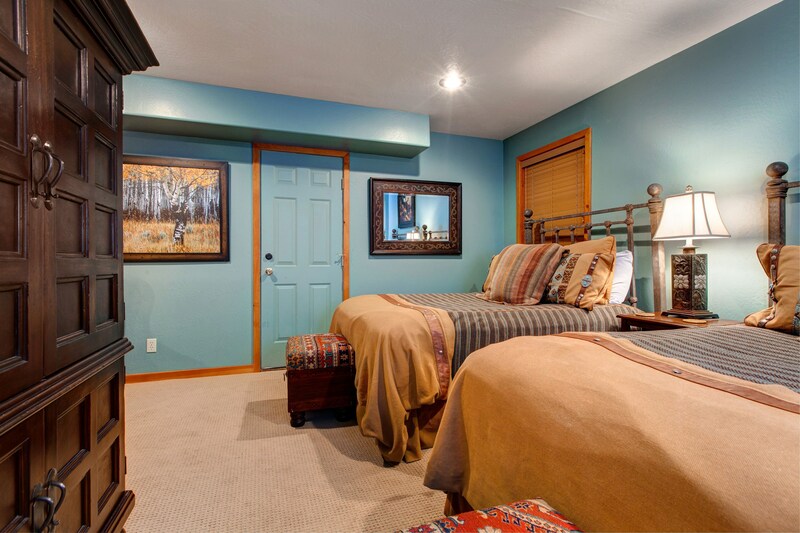 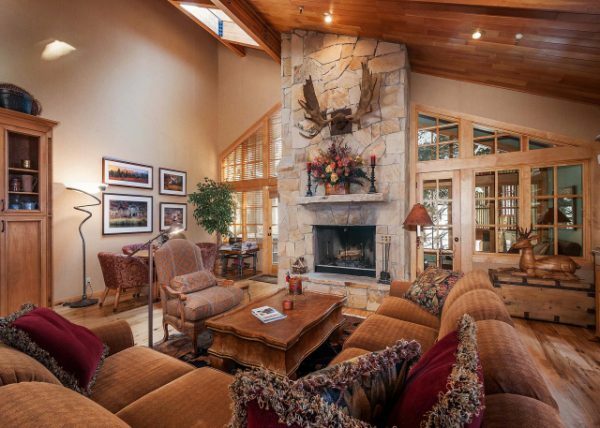 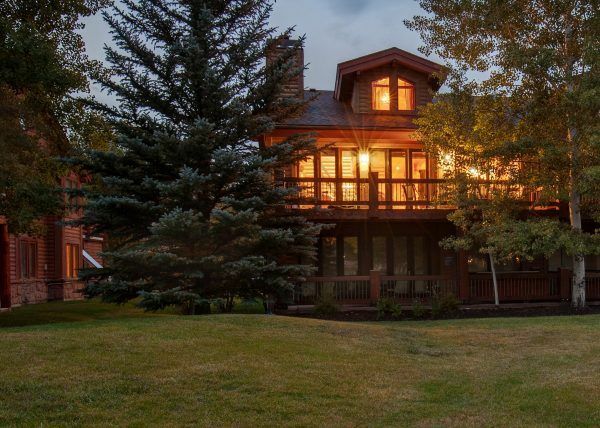 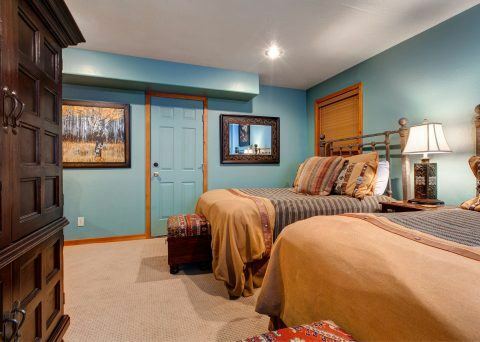 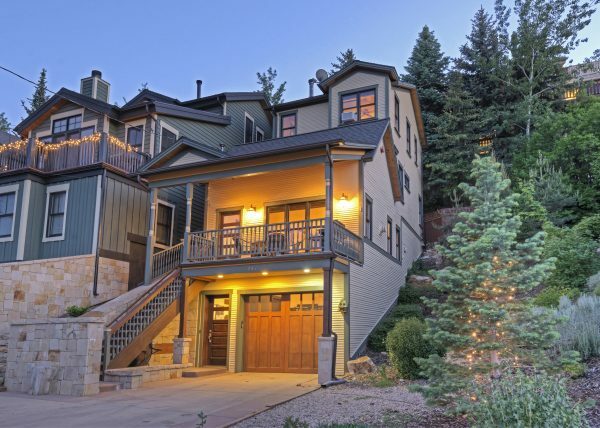 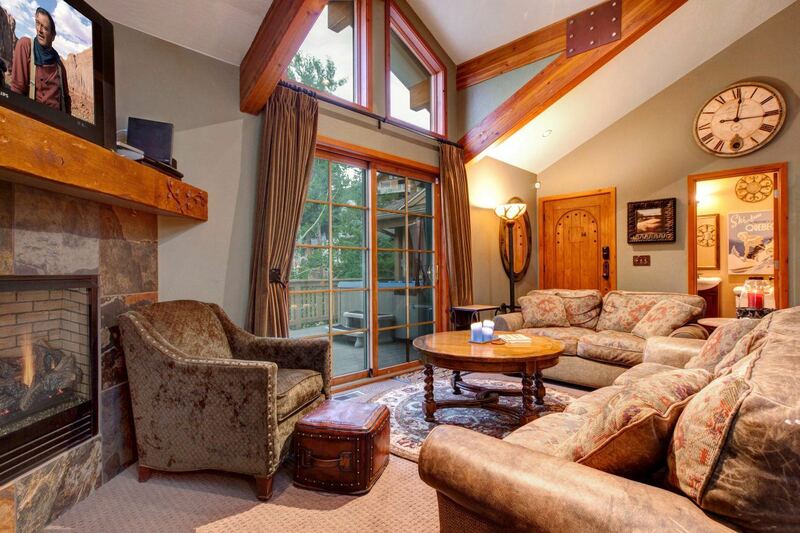 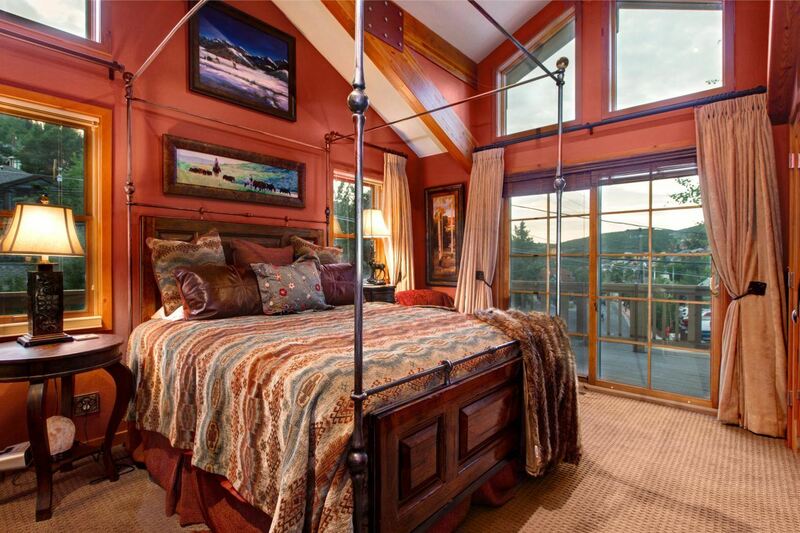 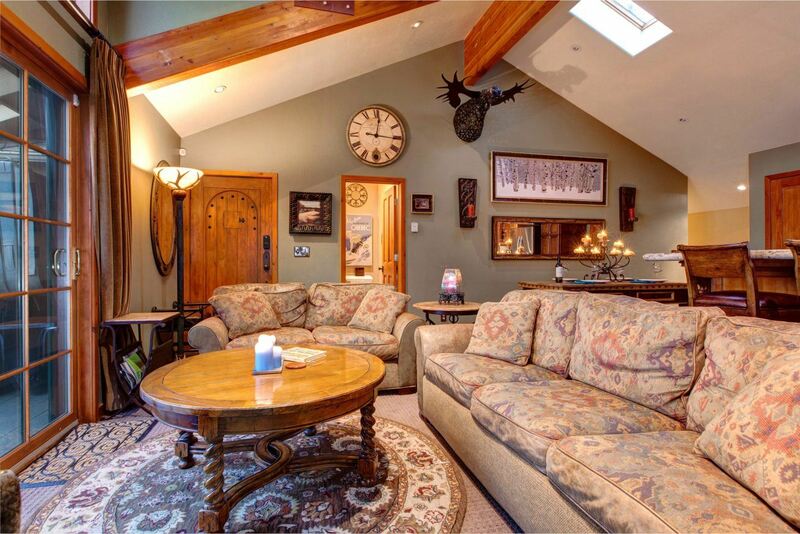 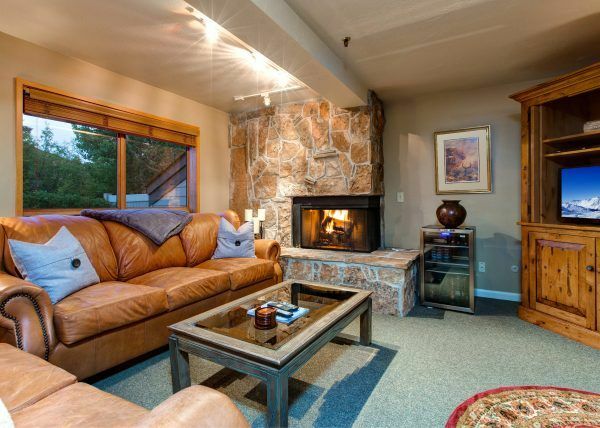 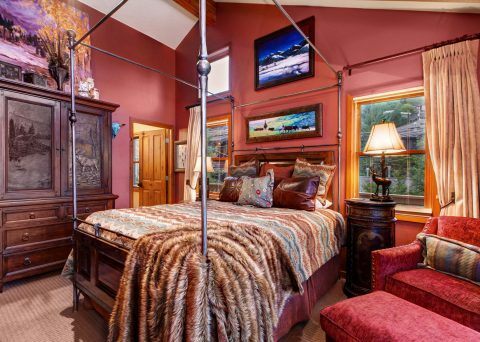 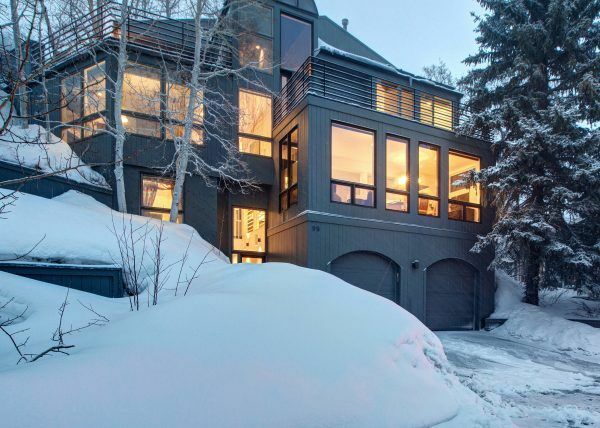 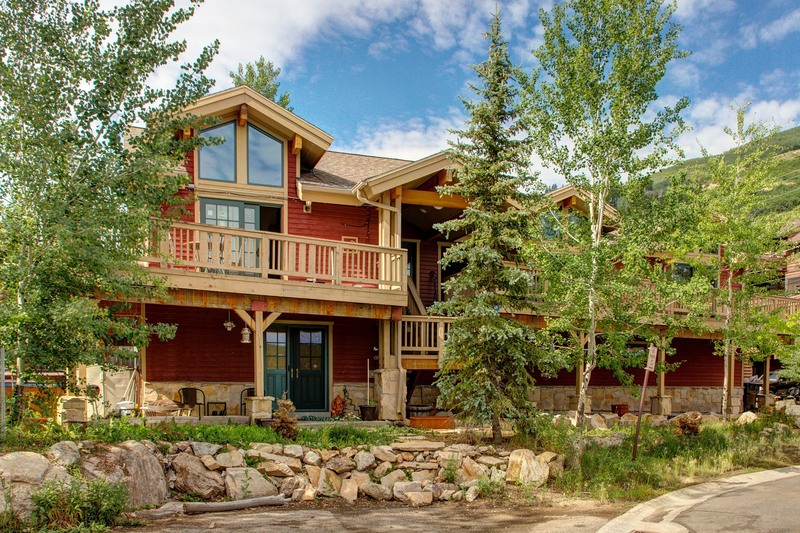 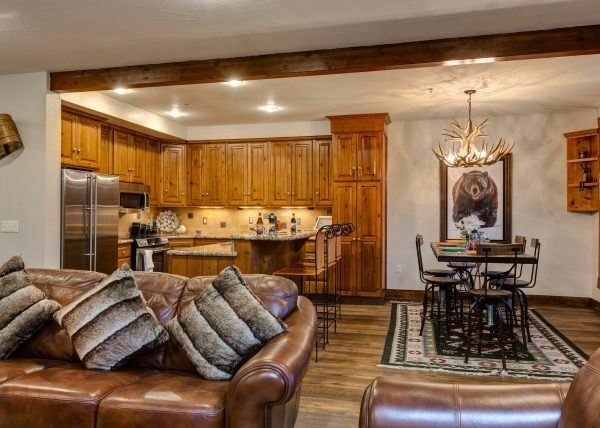 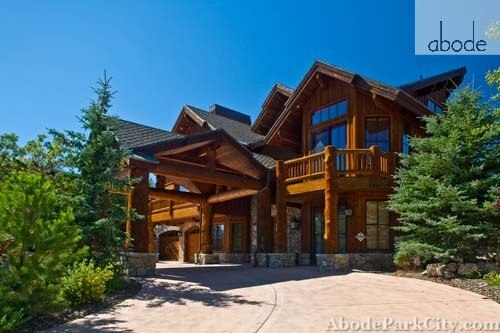 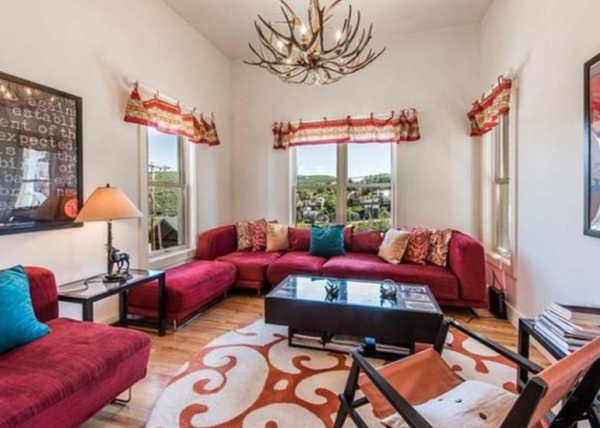 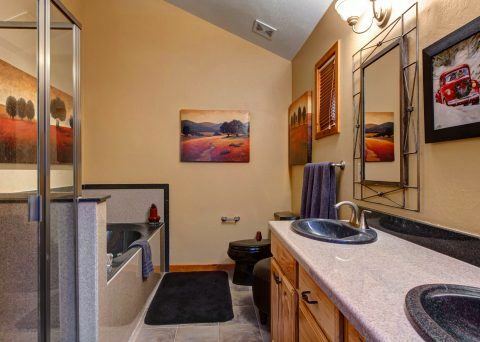 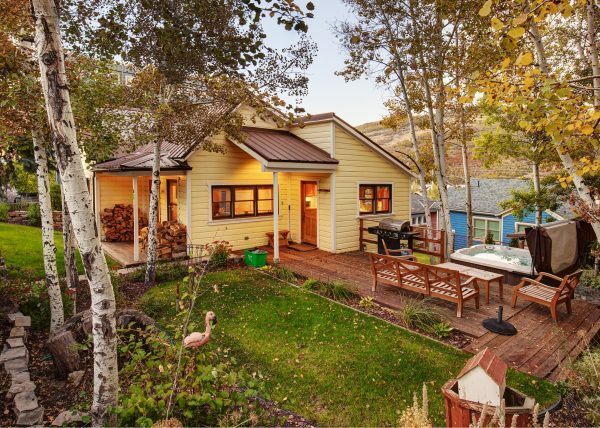 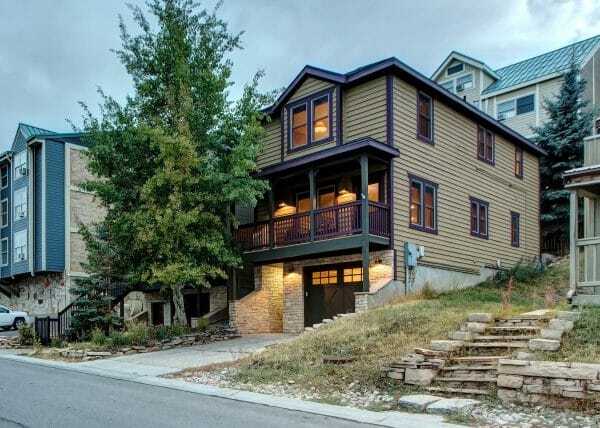 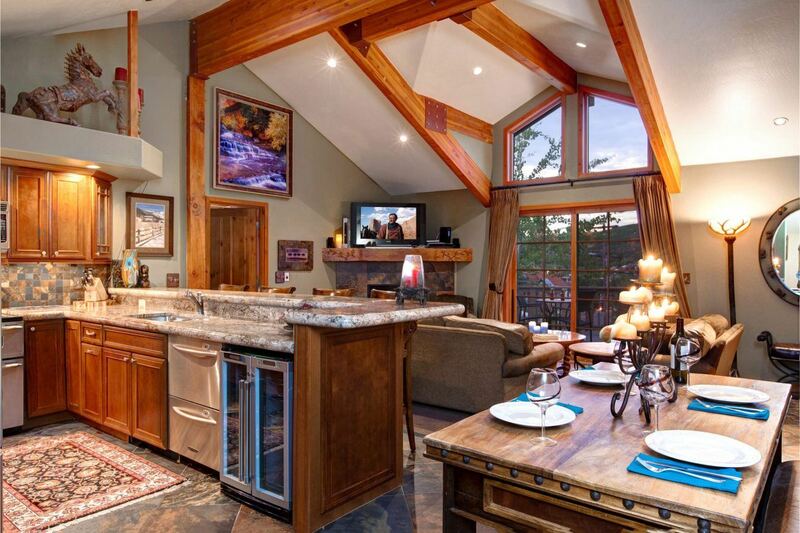 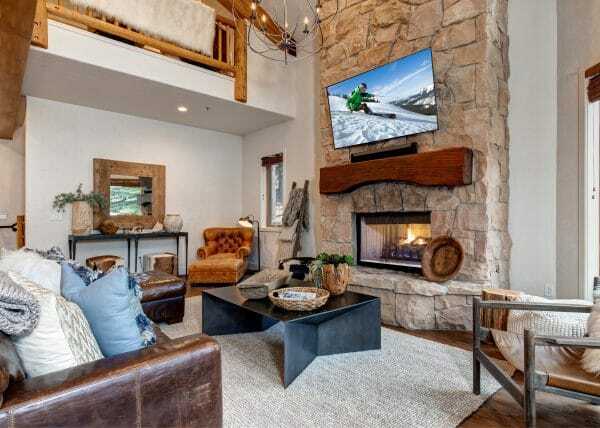 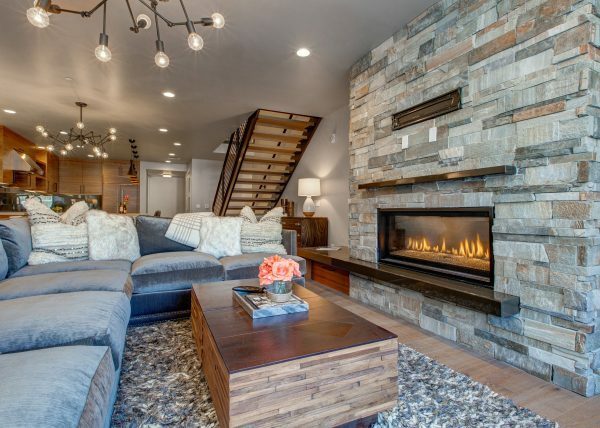 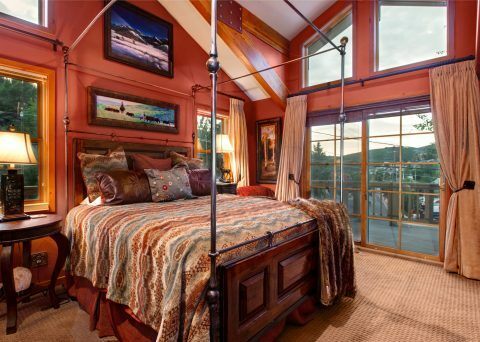 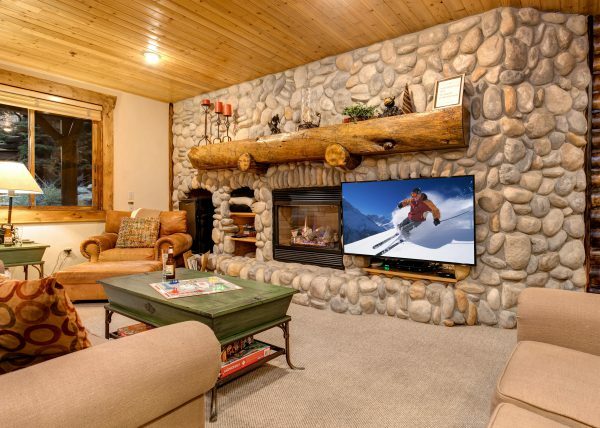 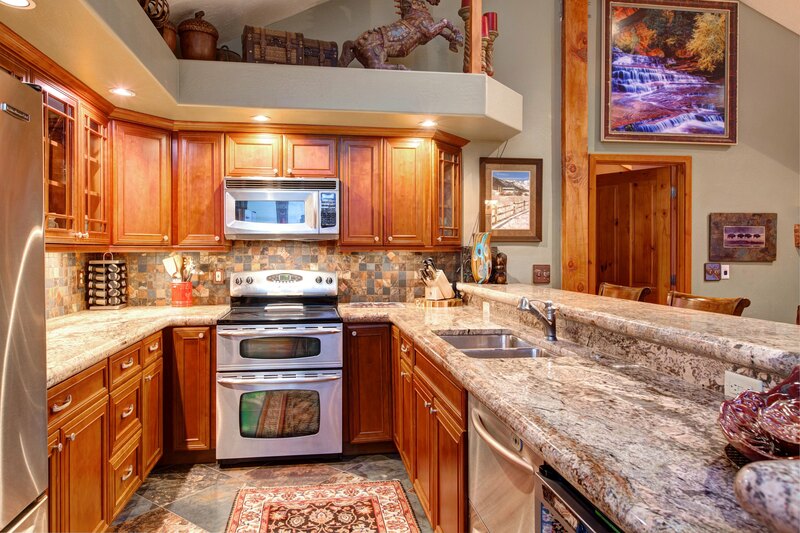 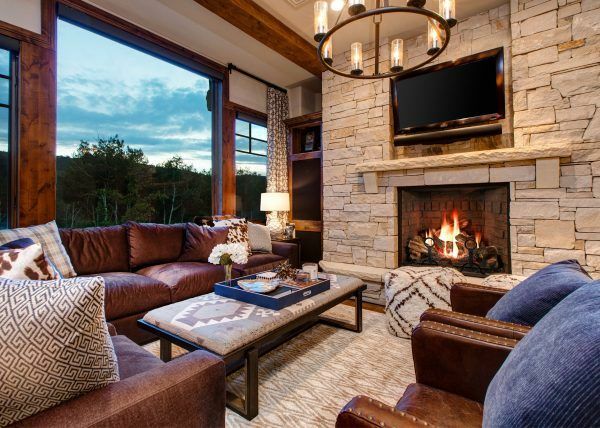 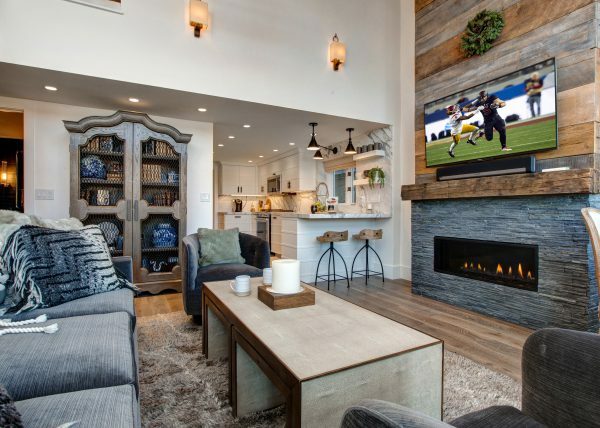 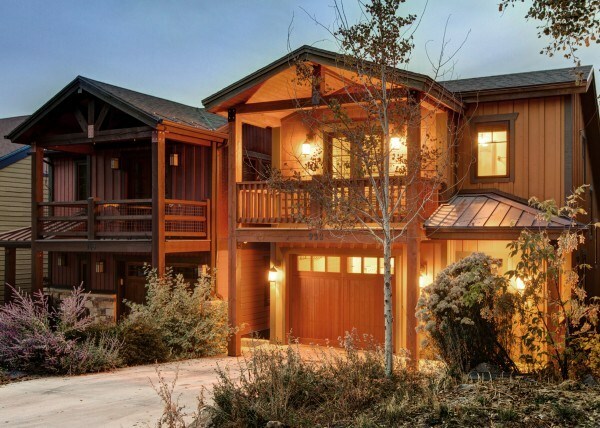 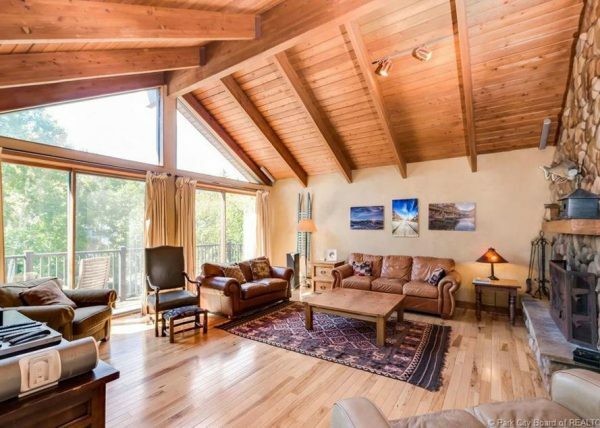 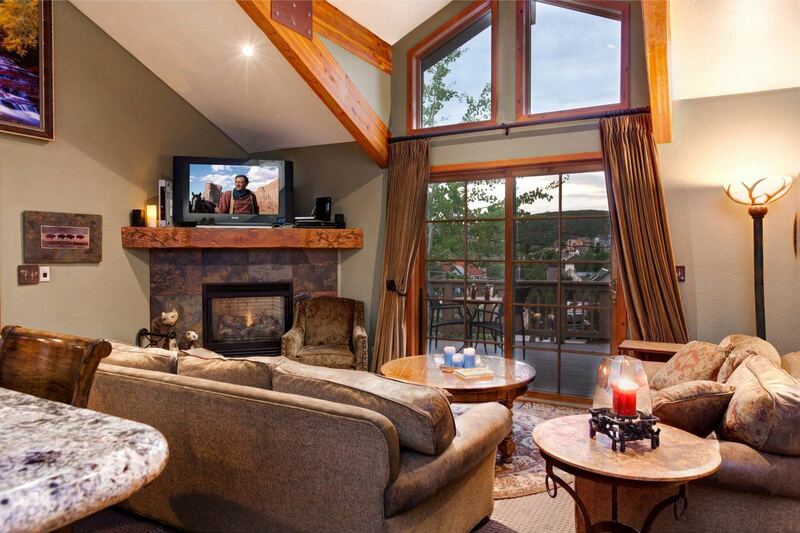 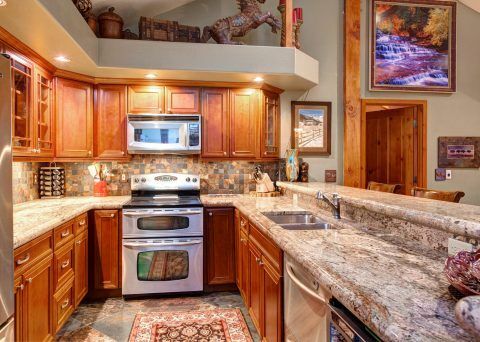 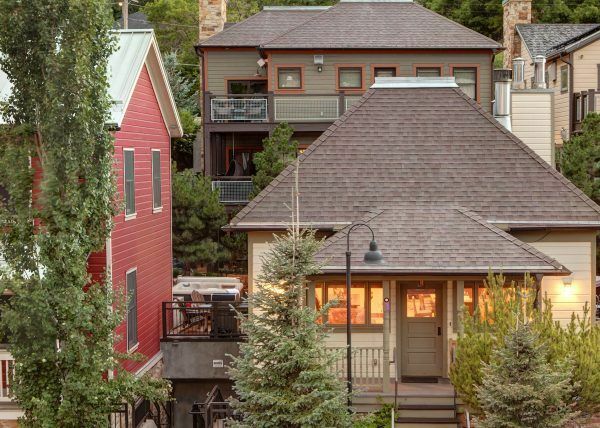 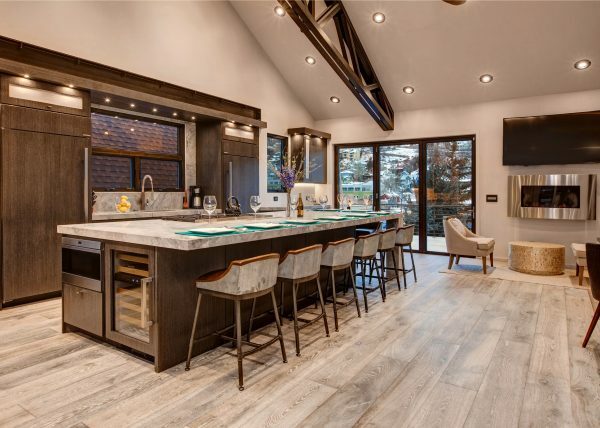 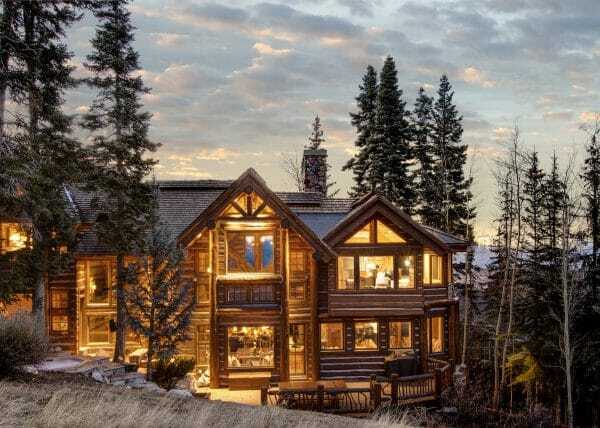 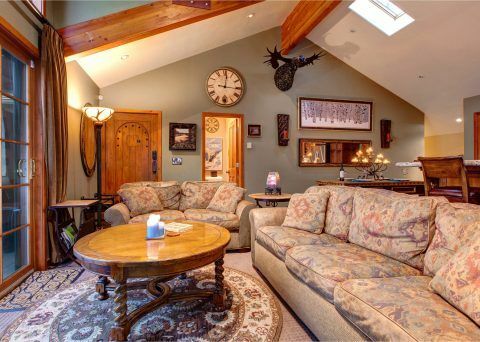 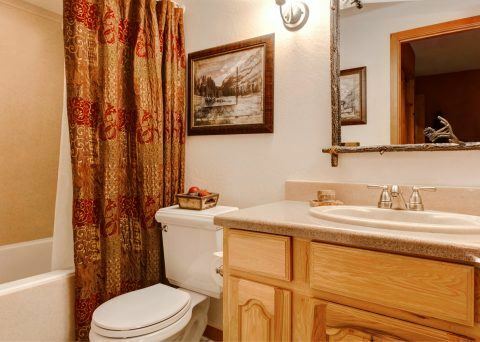 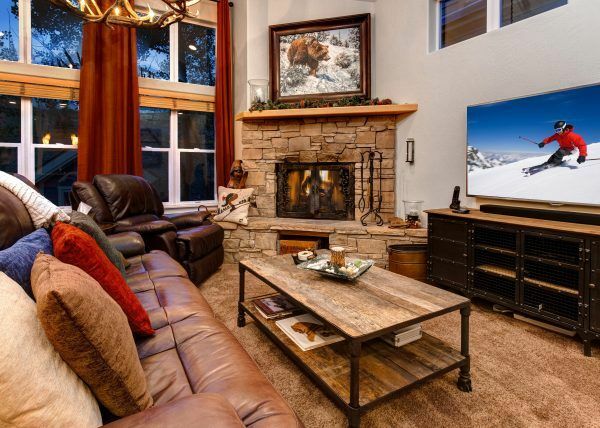 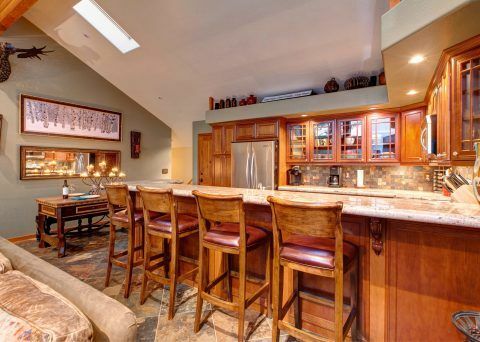 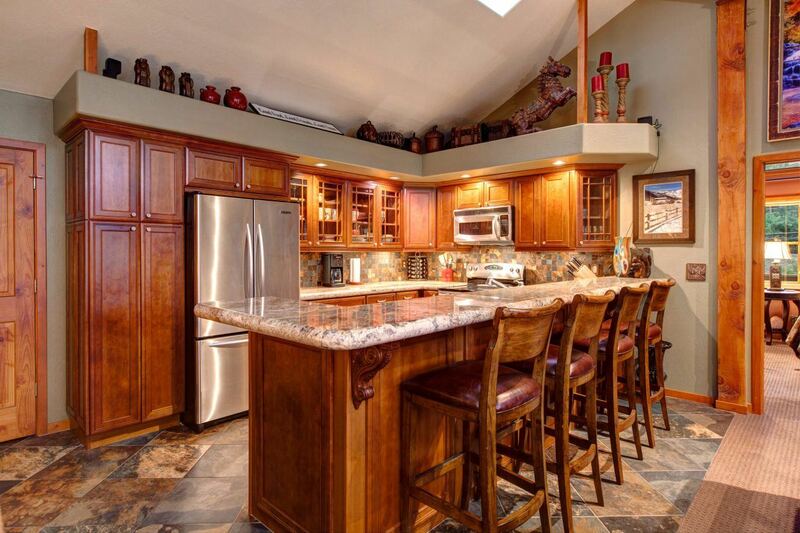 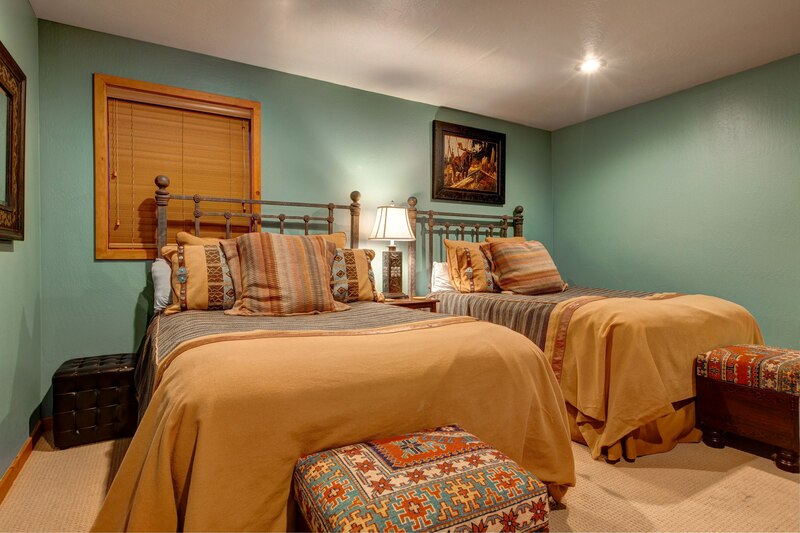 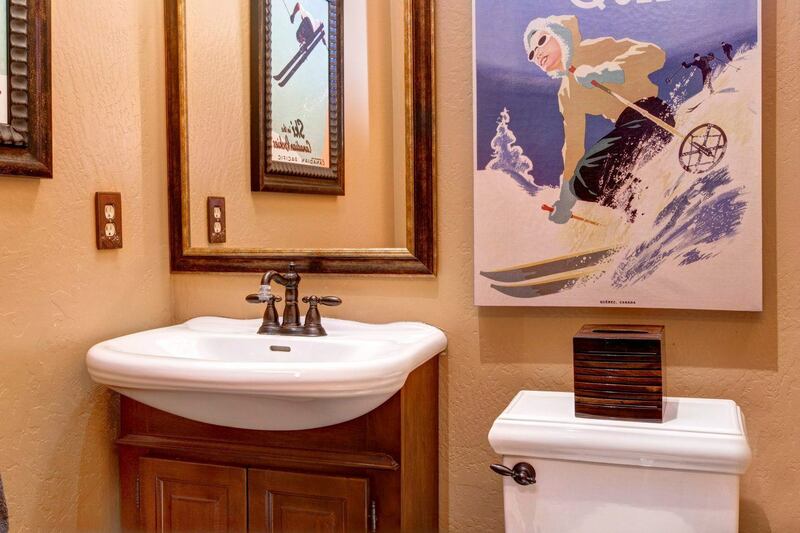 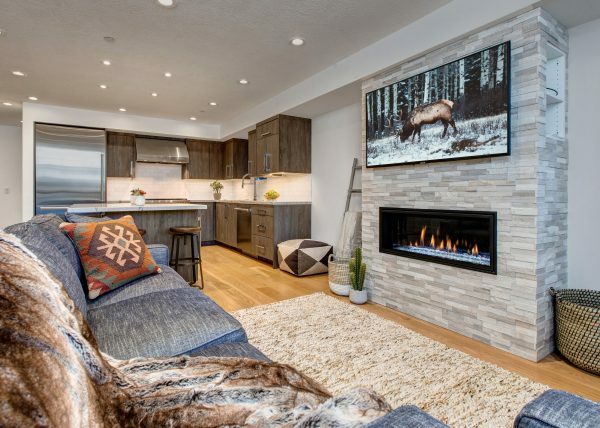 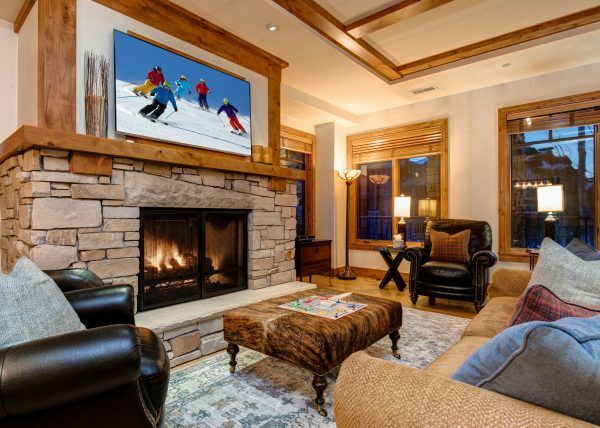 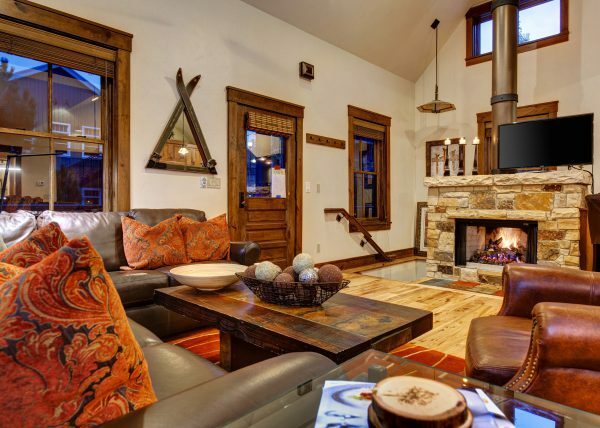 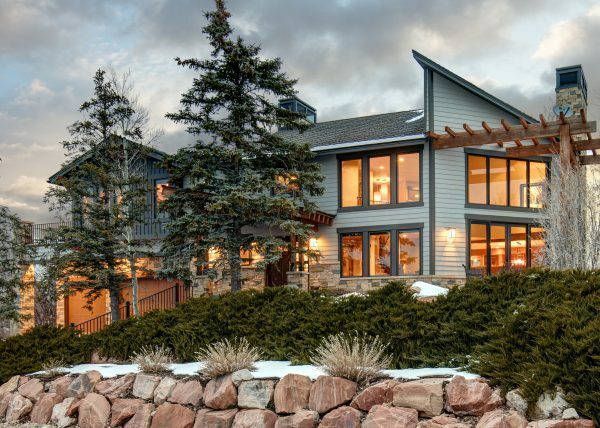 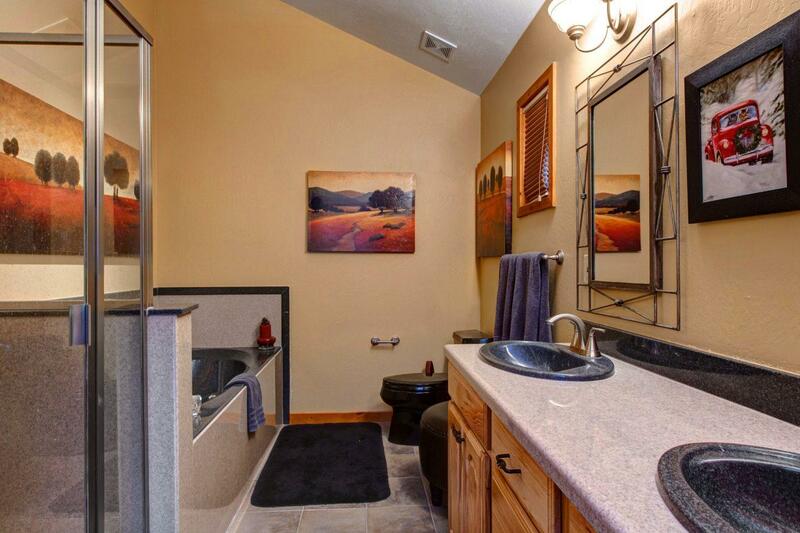 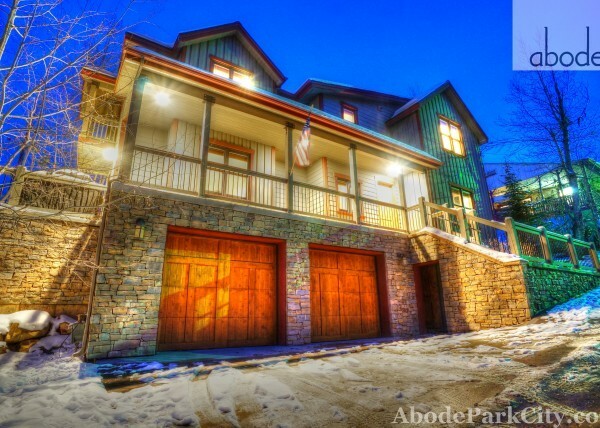 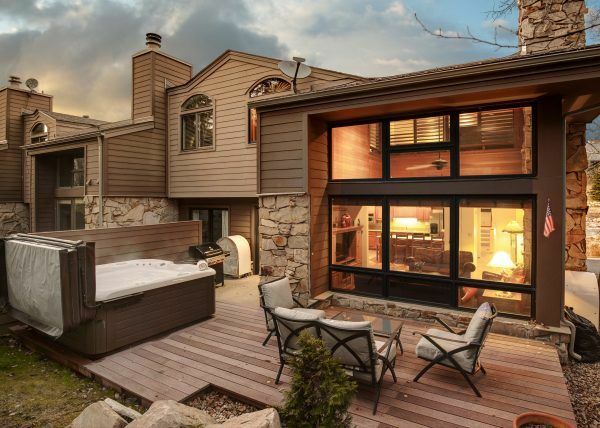 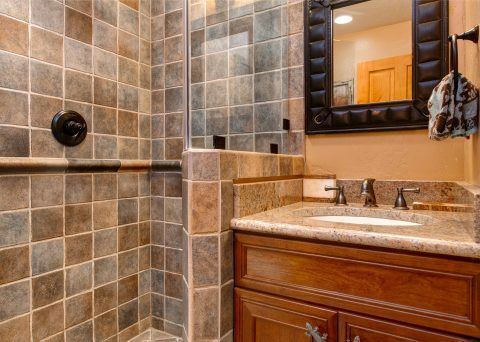 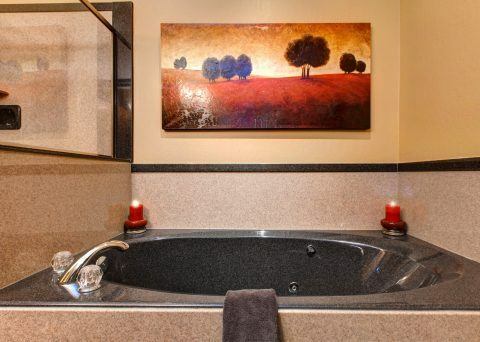 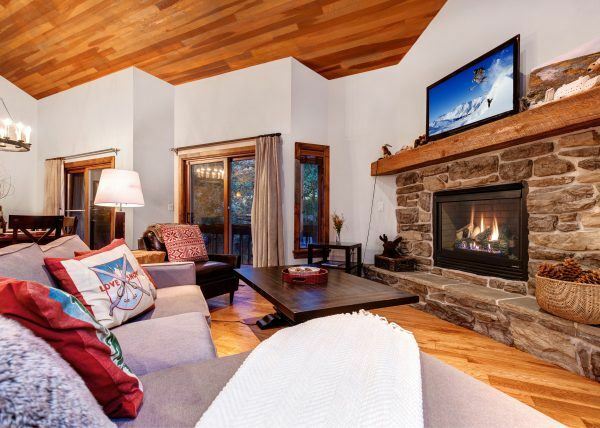 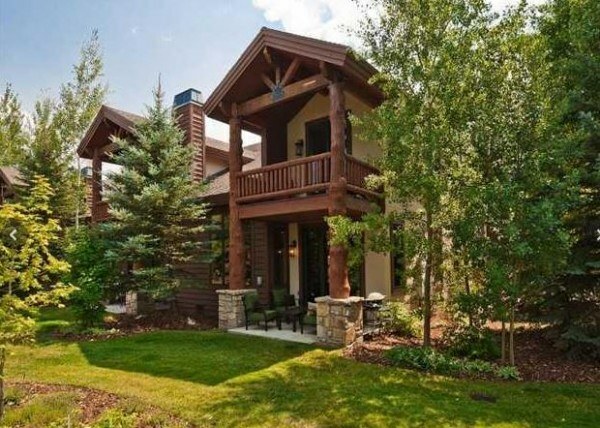 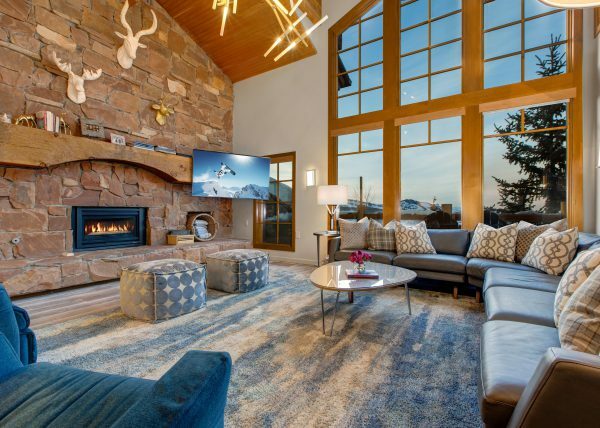 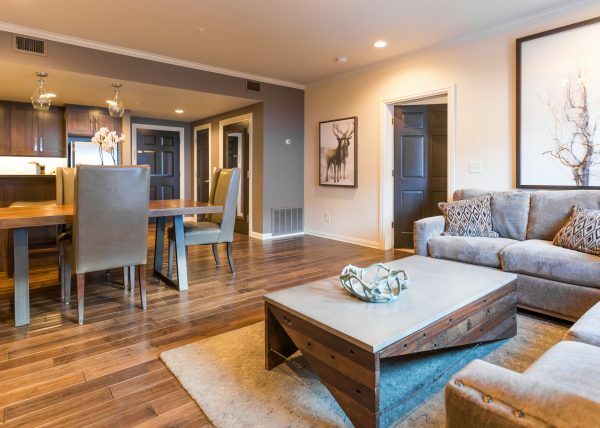 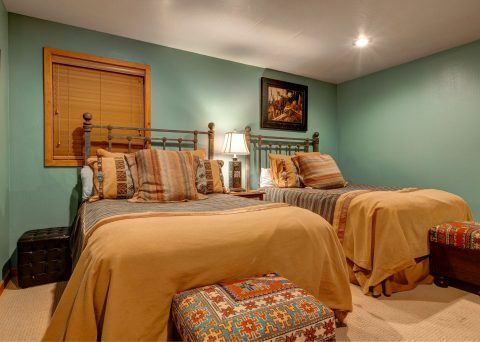 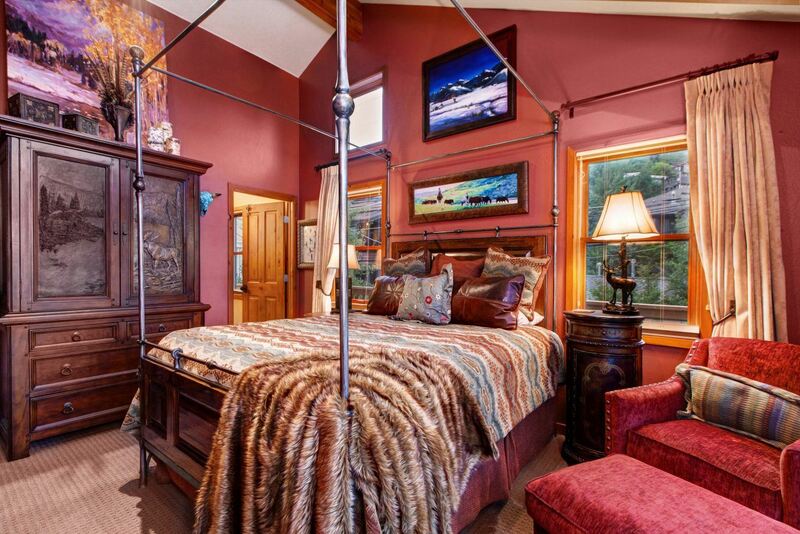 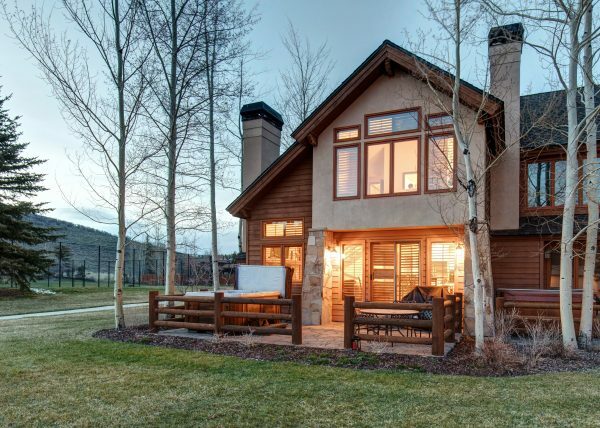 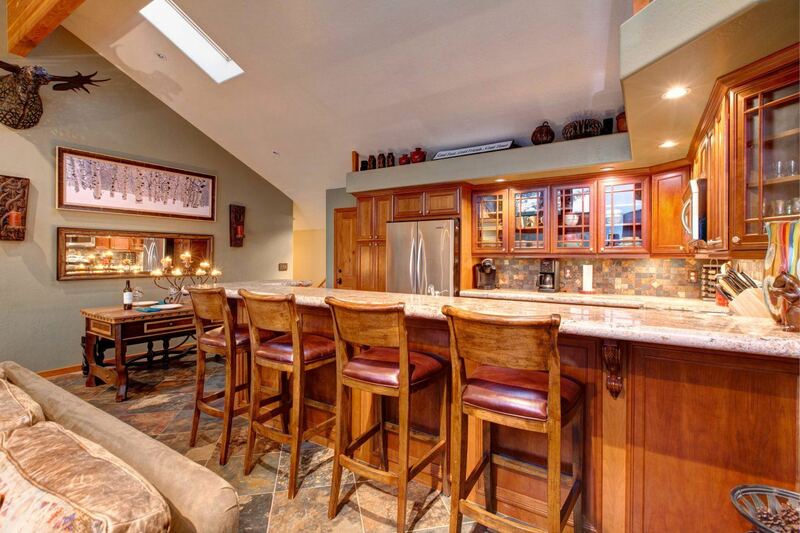 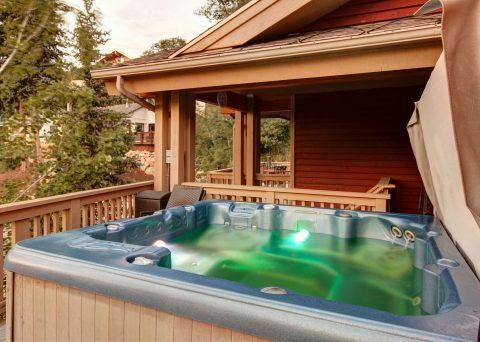 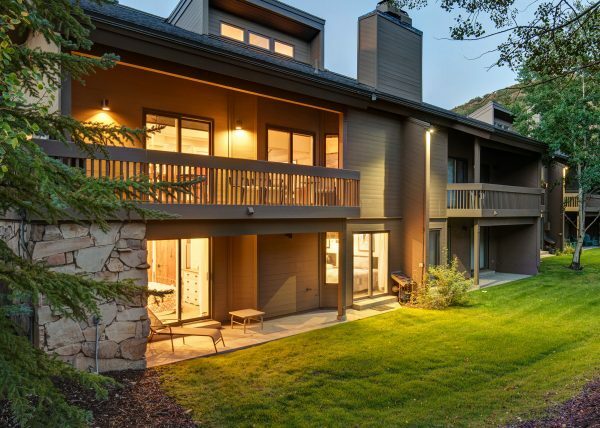 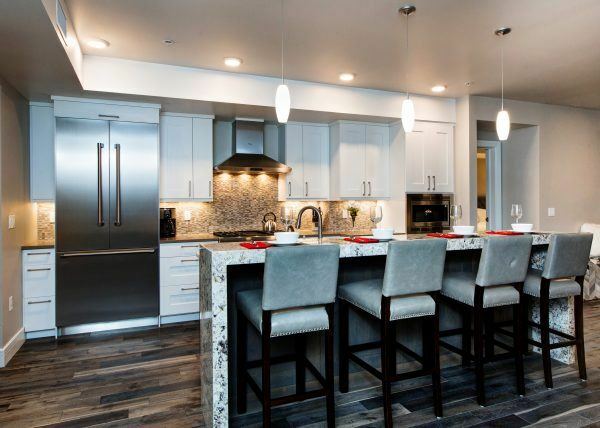 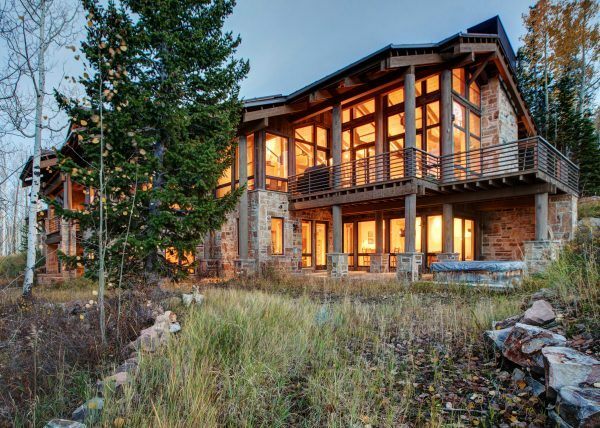 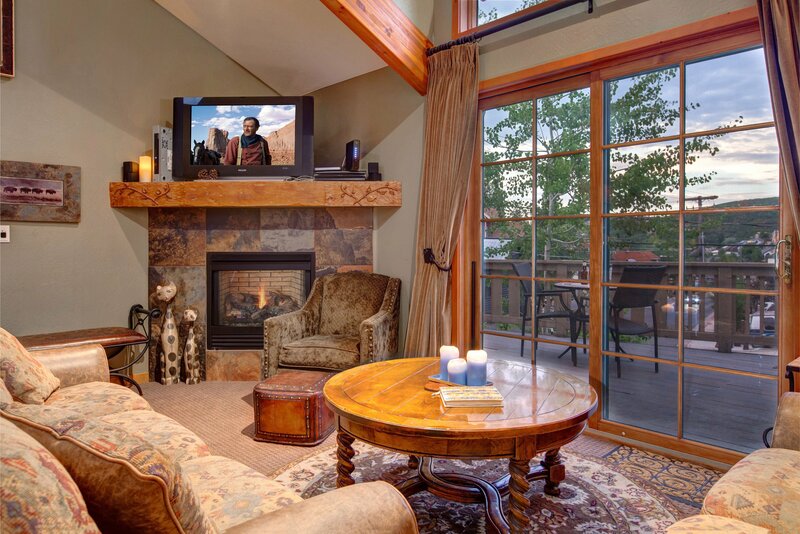 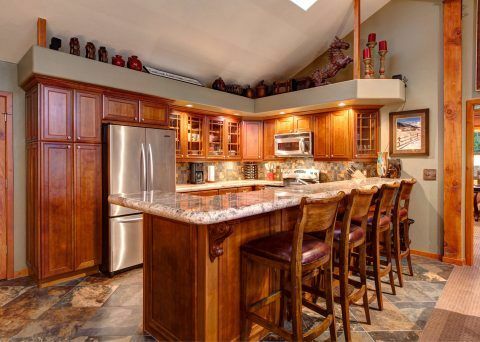 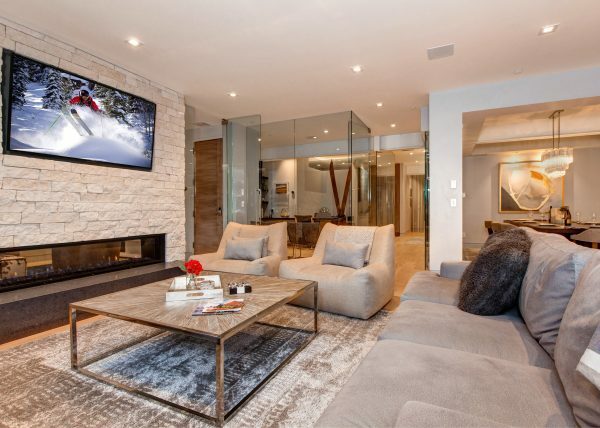 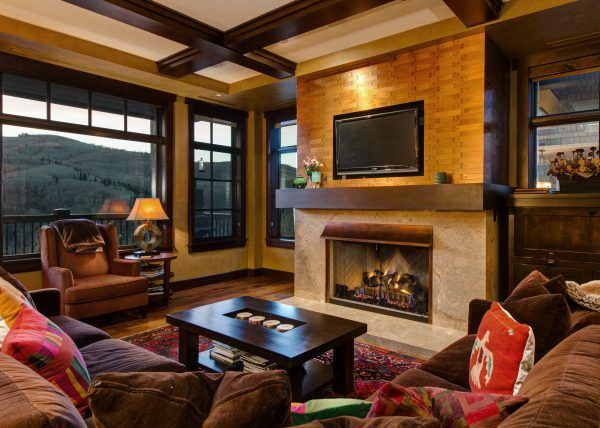 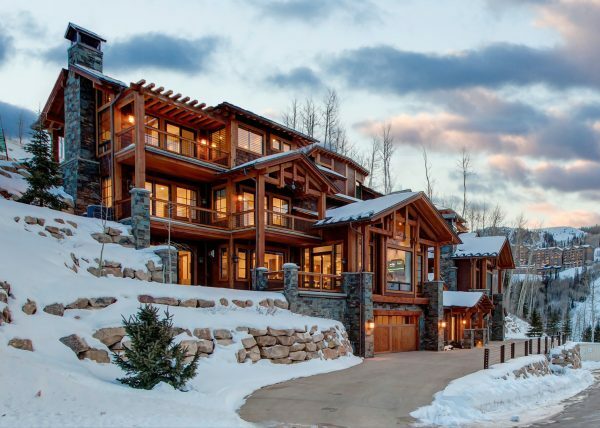 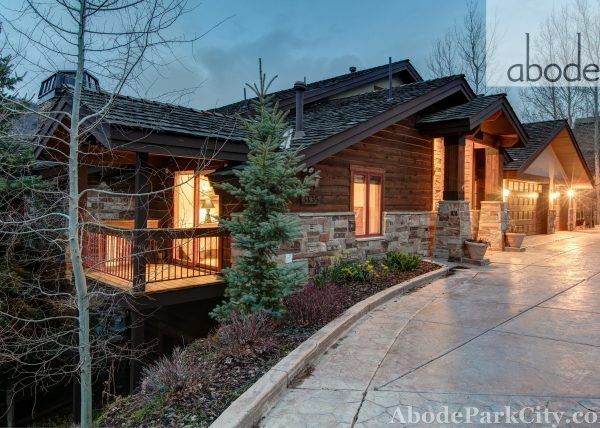 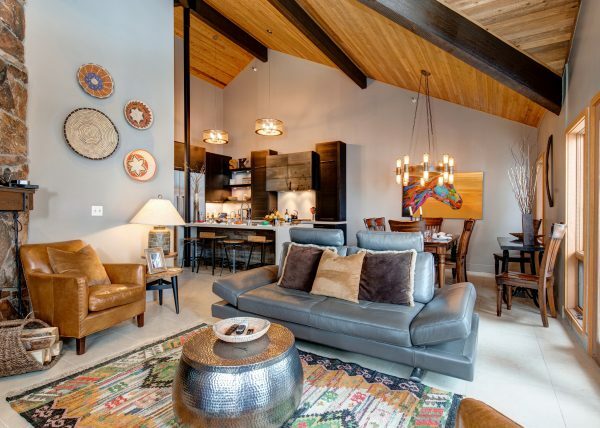 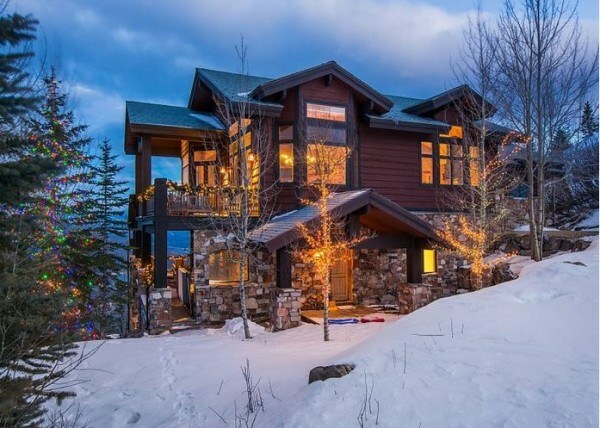 This is a relaxing, cozy abode that works great for family gatherings, girls getaways, and couples ski trips. 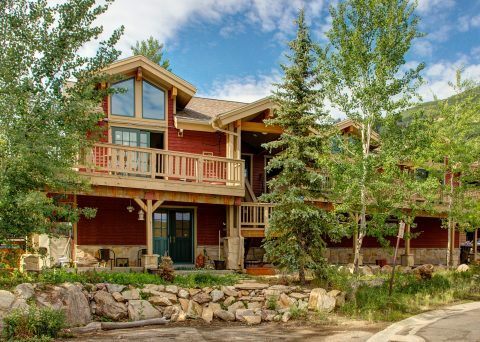 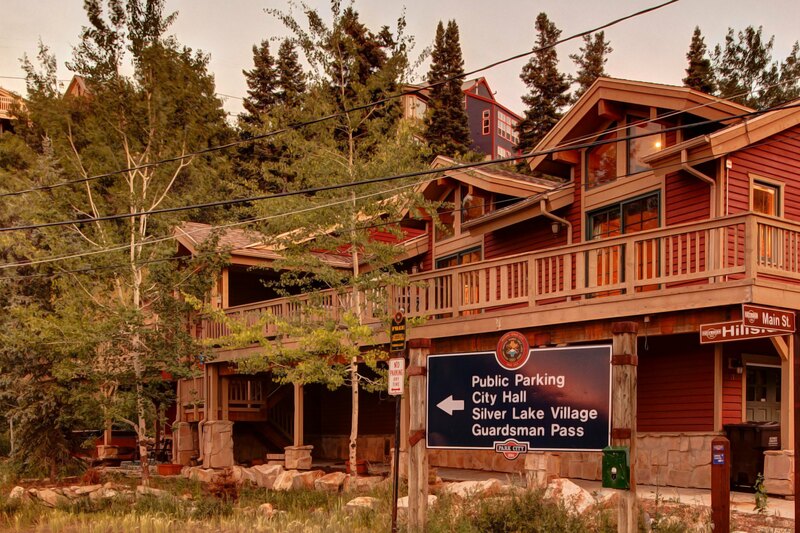 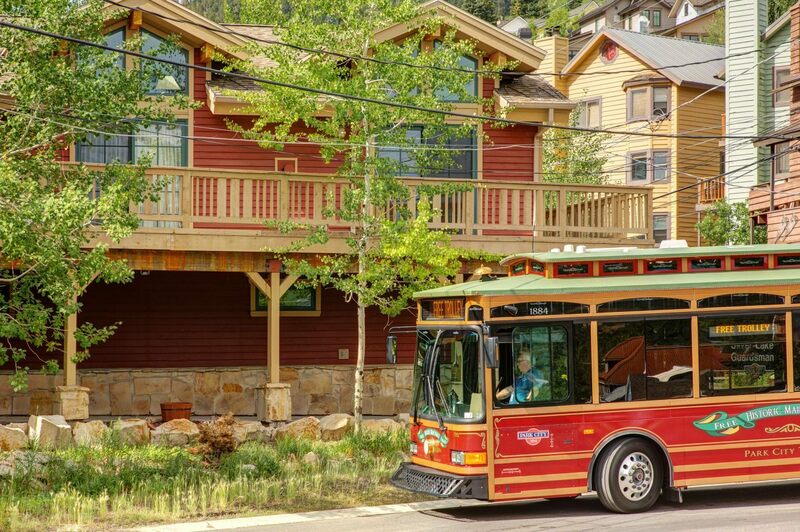 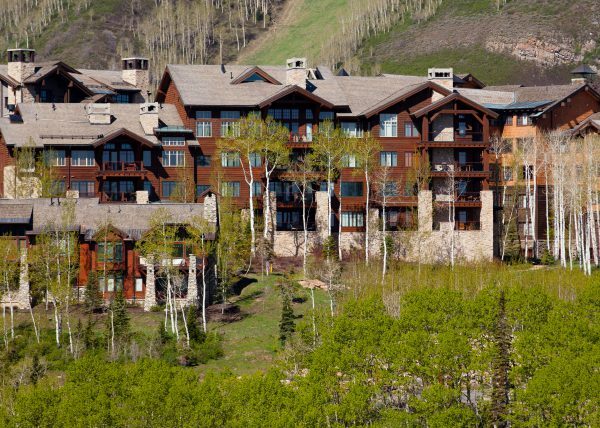 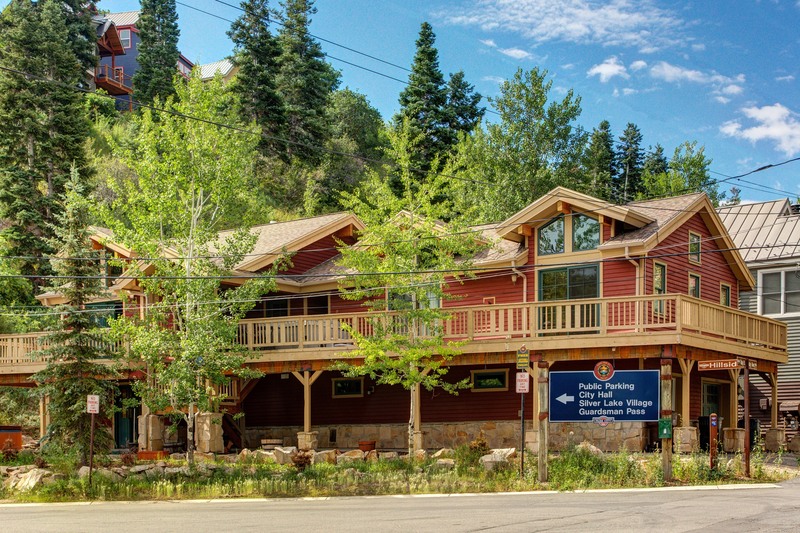 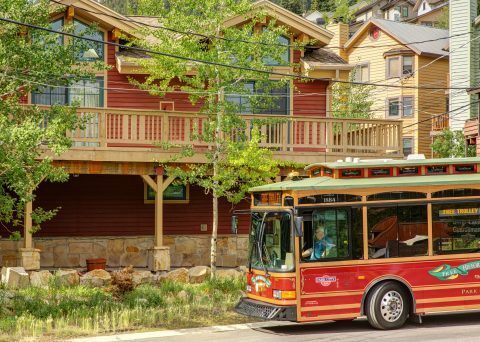 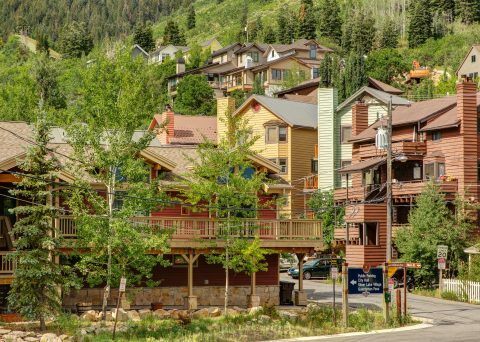 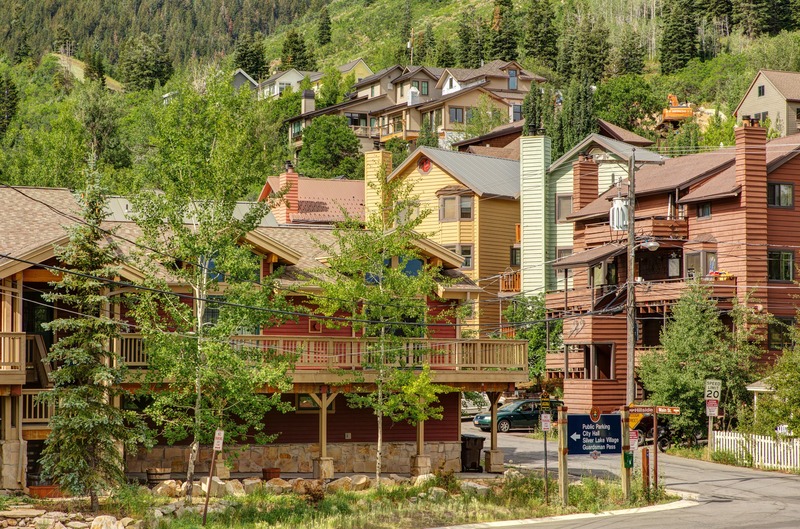 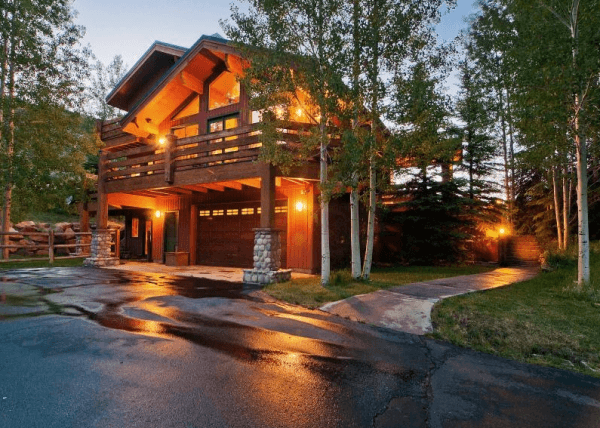 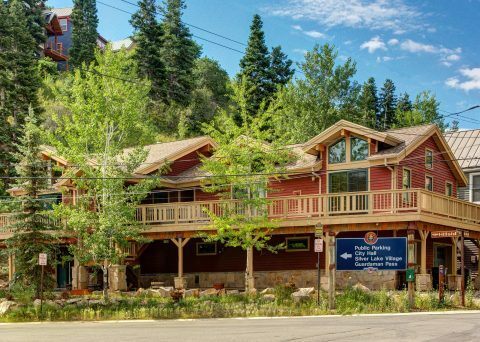 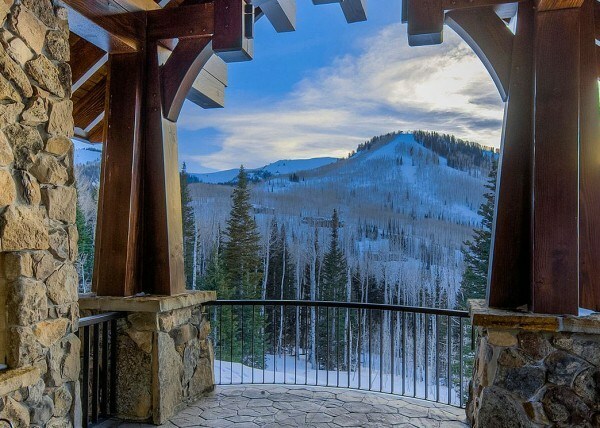 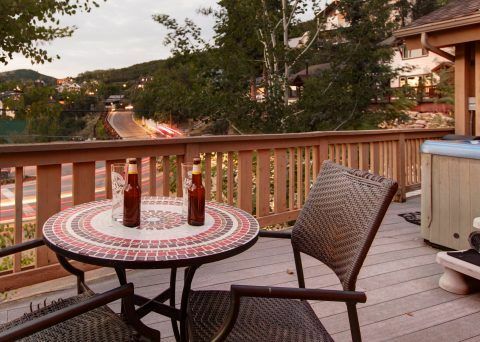 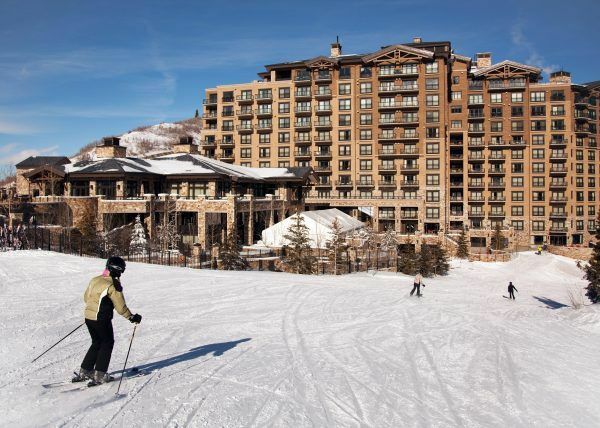 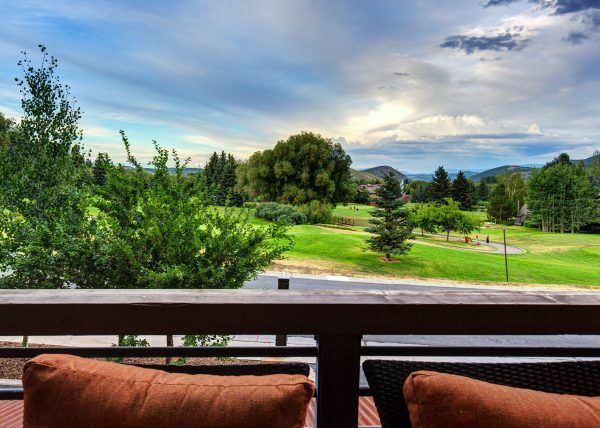 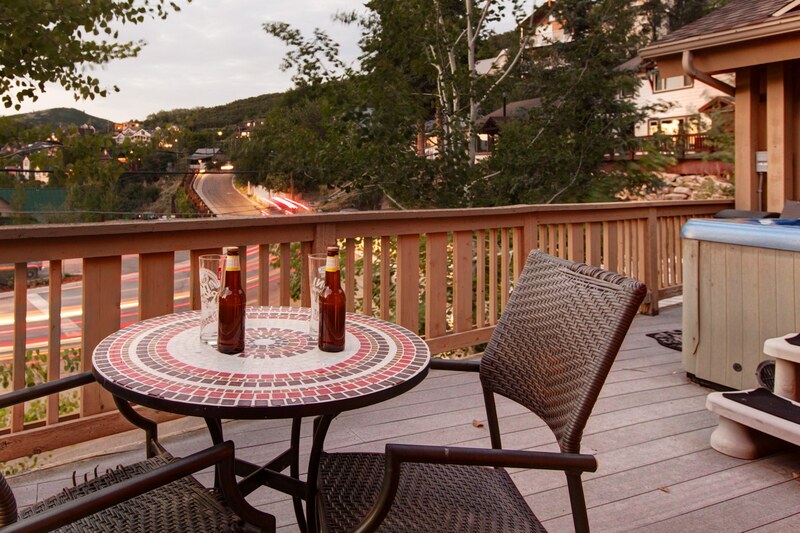 I have had some of the best weekends of my life in this home with my family and my best friends – whether we were skiing, hiking, golfing or dancing all night at the Spur this is a happy, fun town for all ages in all seasons! 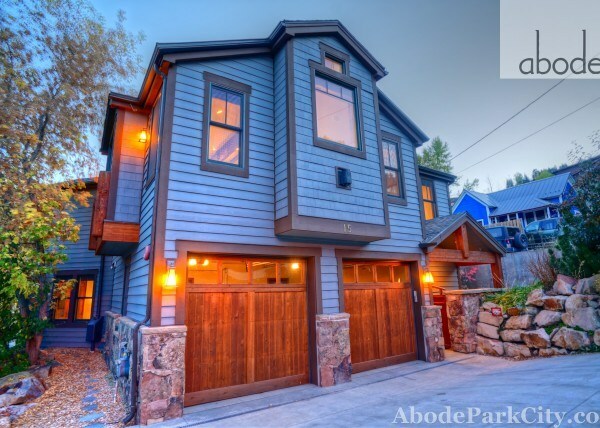 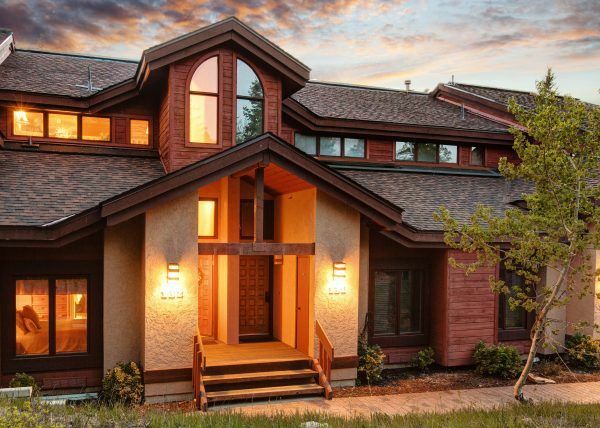 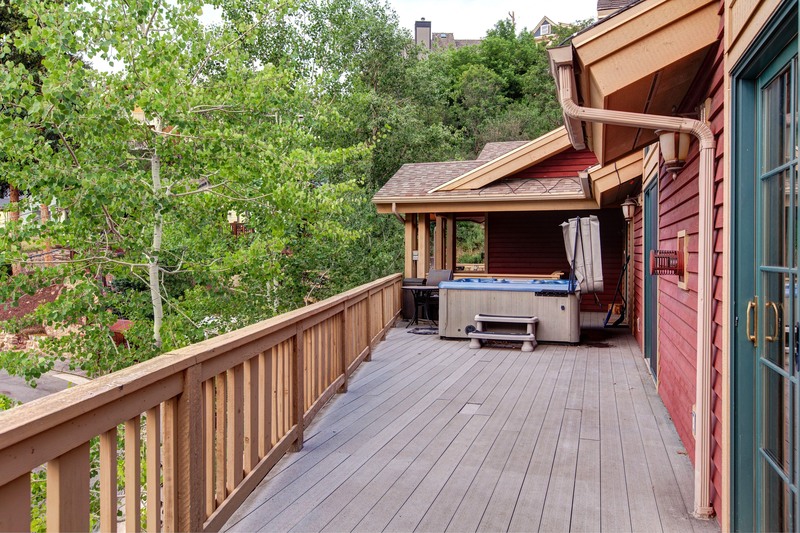 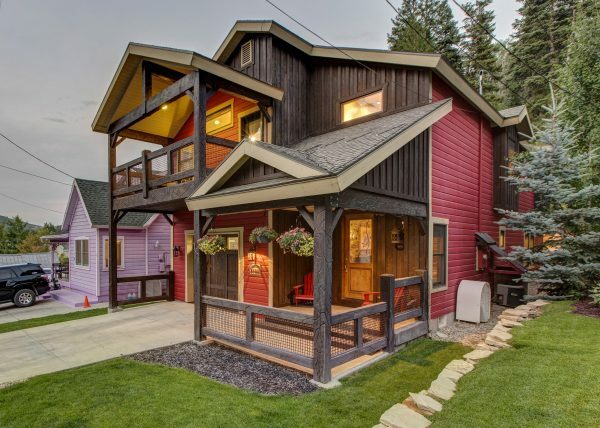 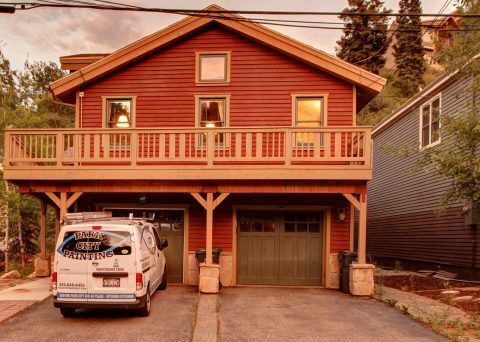 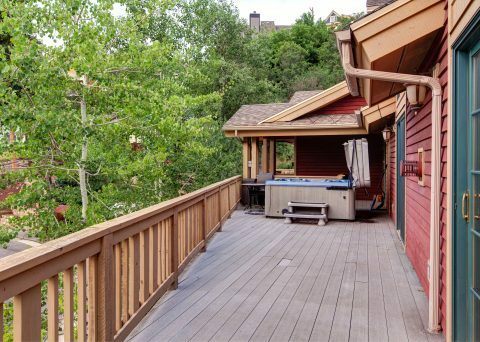 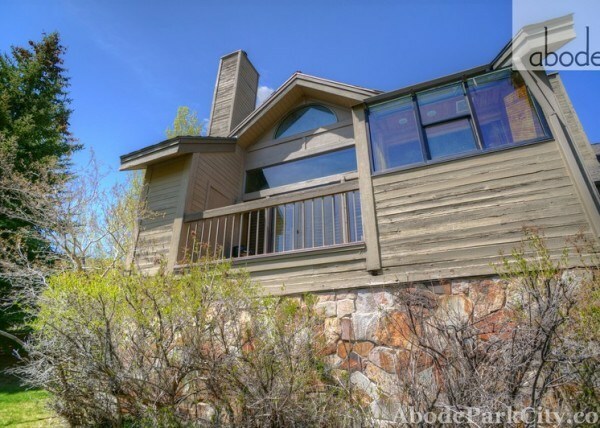 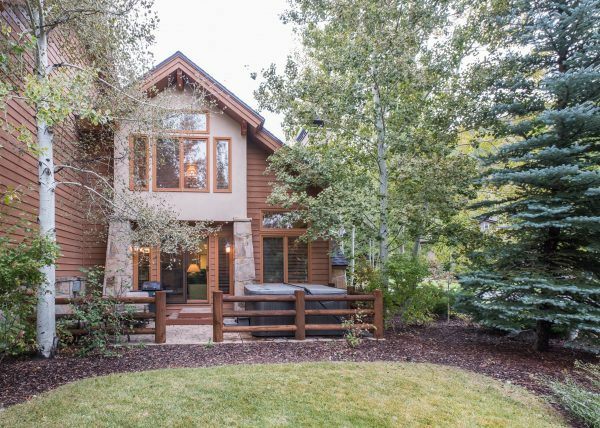 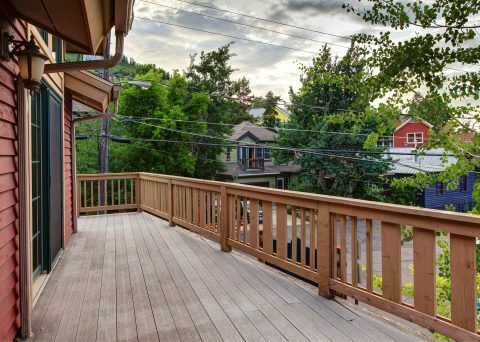 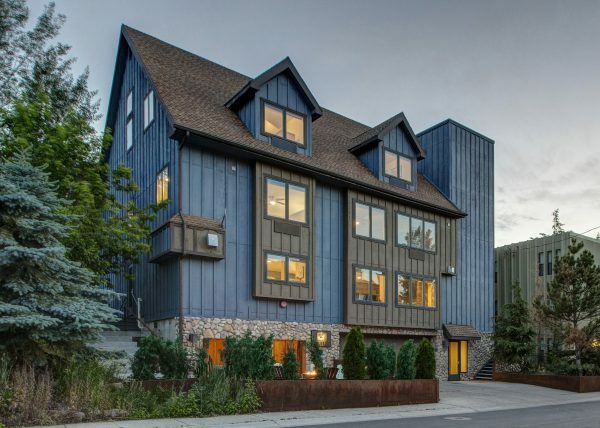 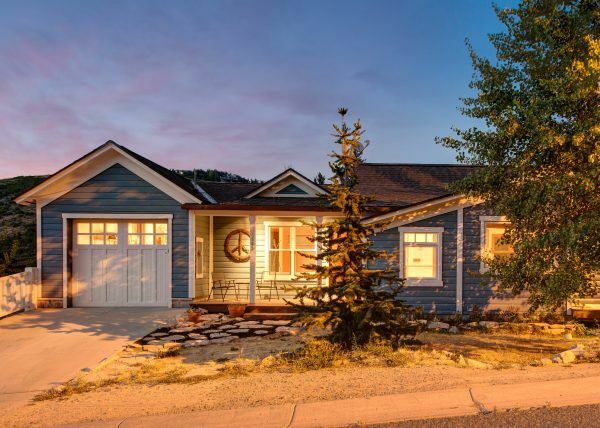 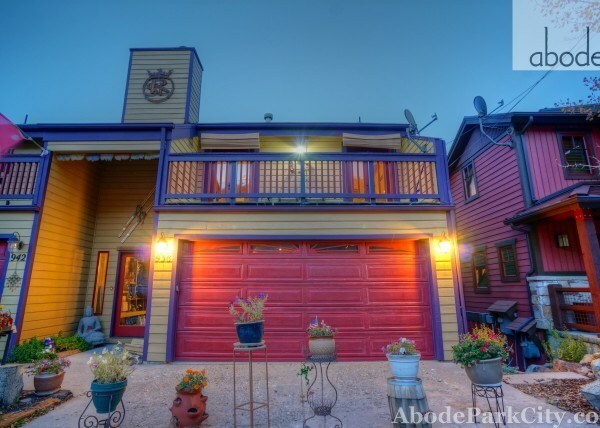 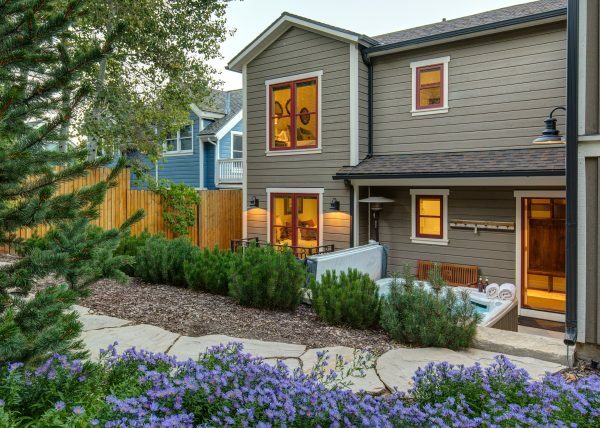 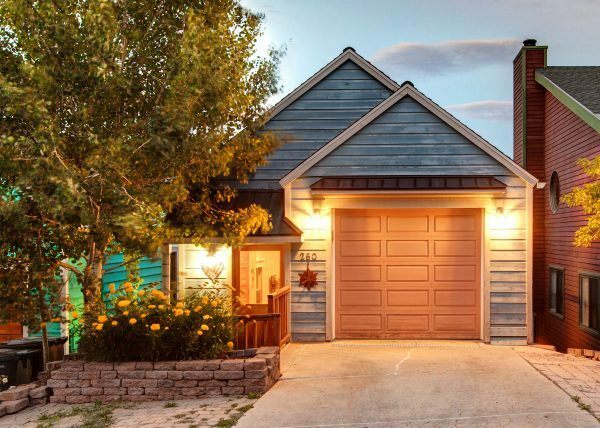 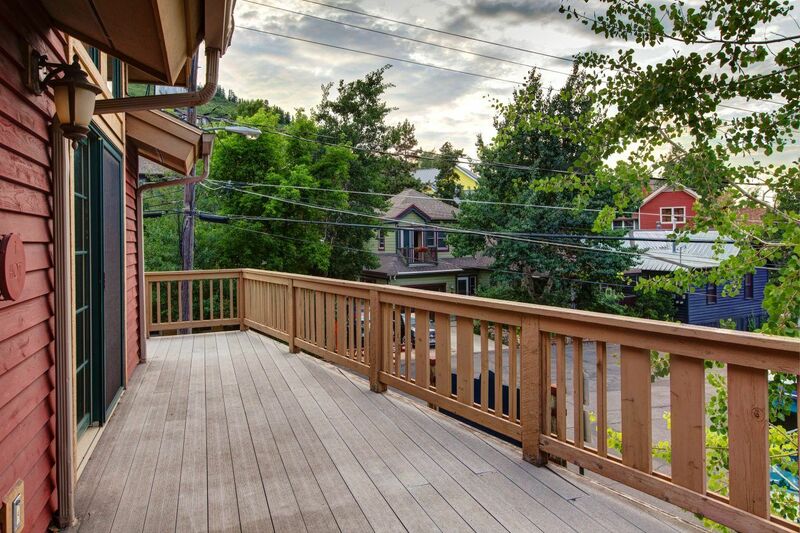 This is a duplex home and 19 Daly is the right half (larger side) of the Chalet Style home. 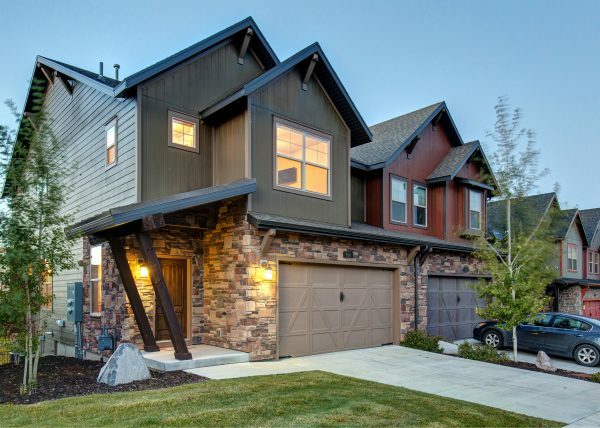 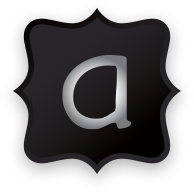 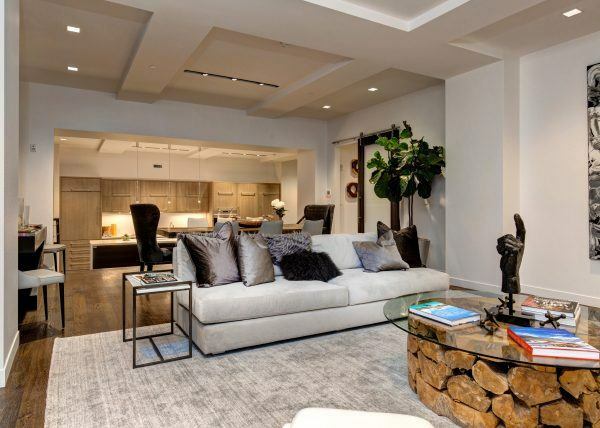 There are three levels – the one car garage allows you to enter from Daly Avenue and there is a second parking space behind the garage.